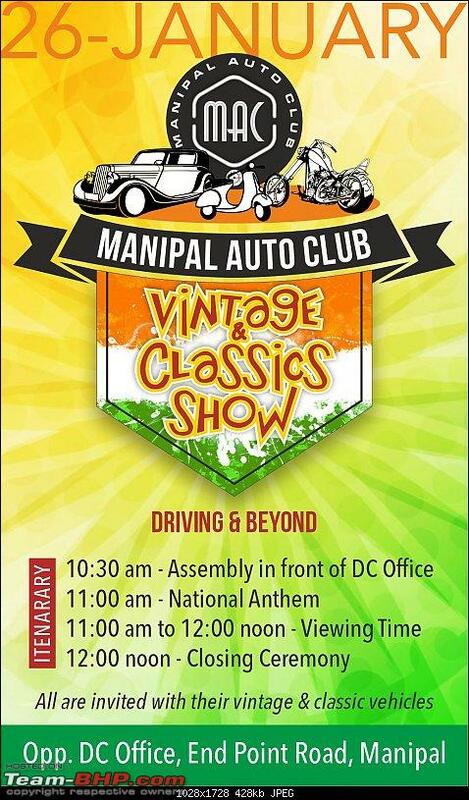 Everyone is invited to grace the occasion. 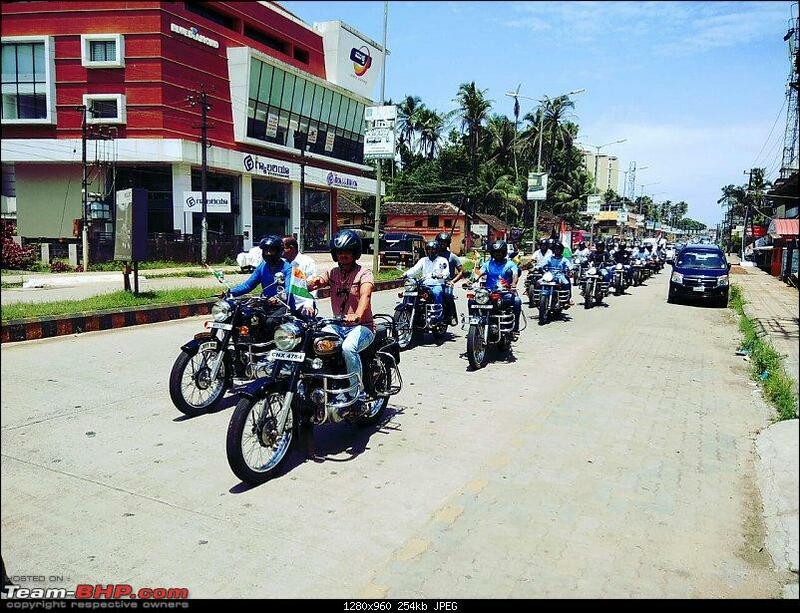 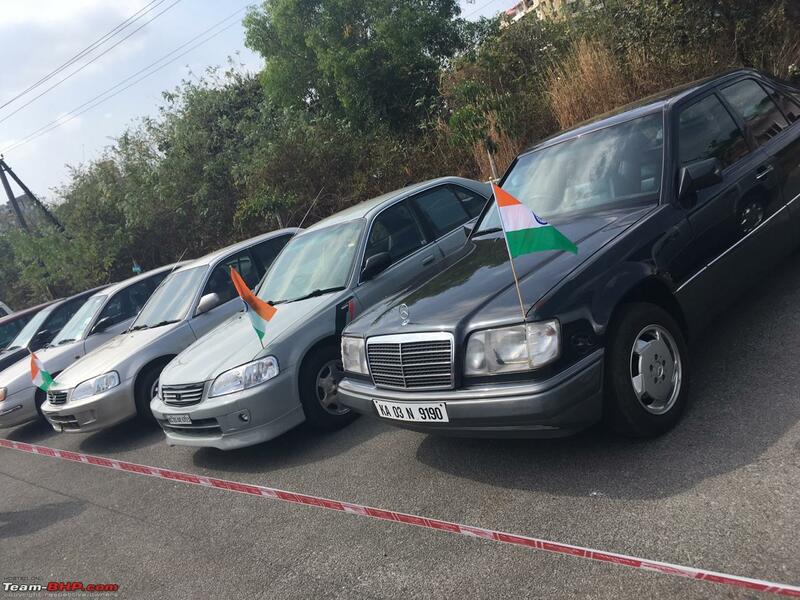 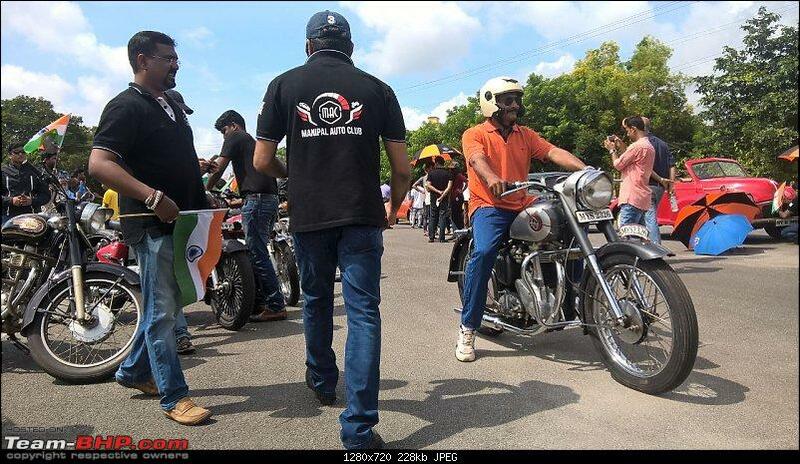 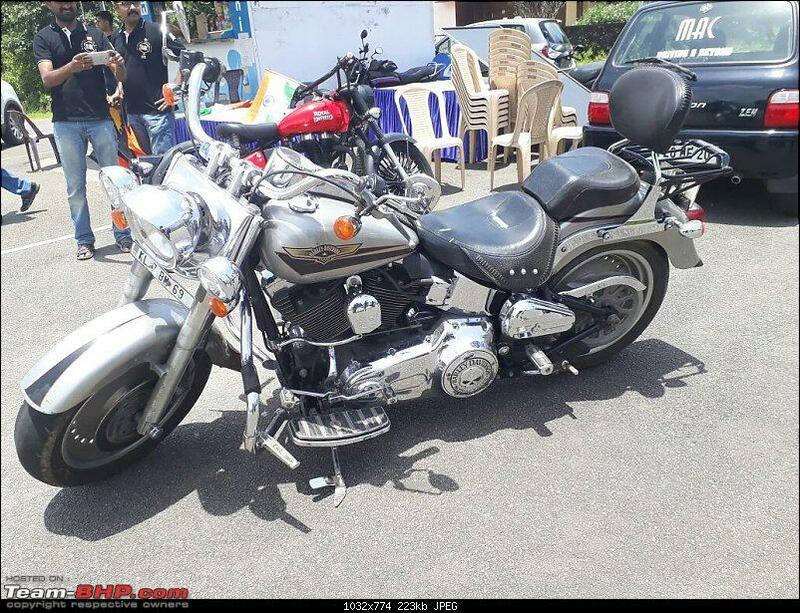 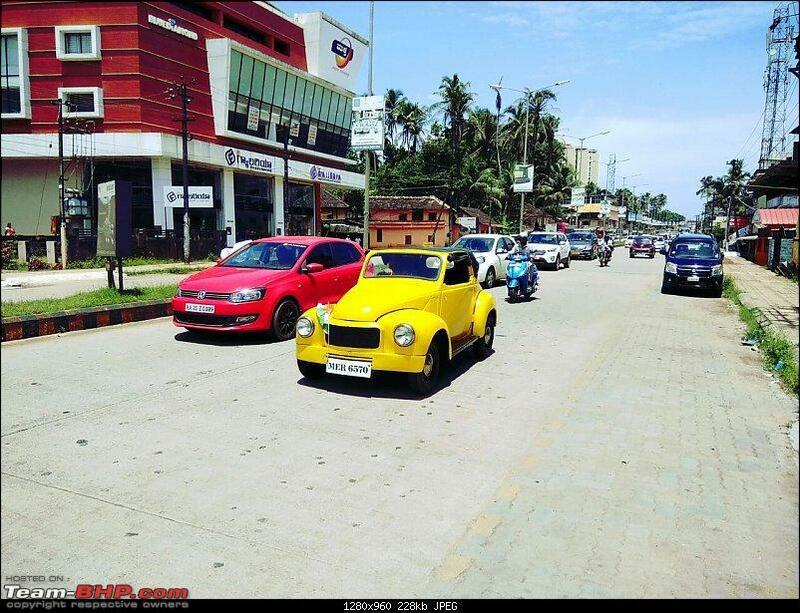 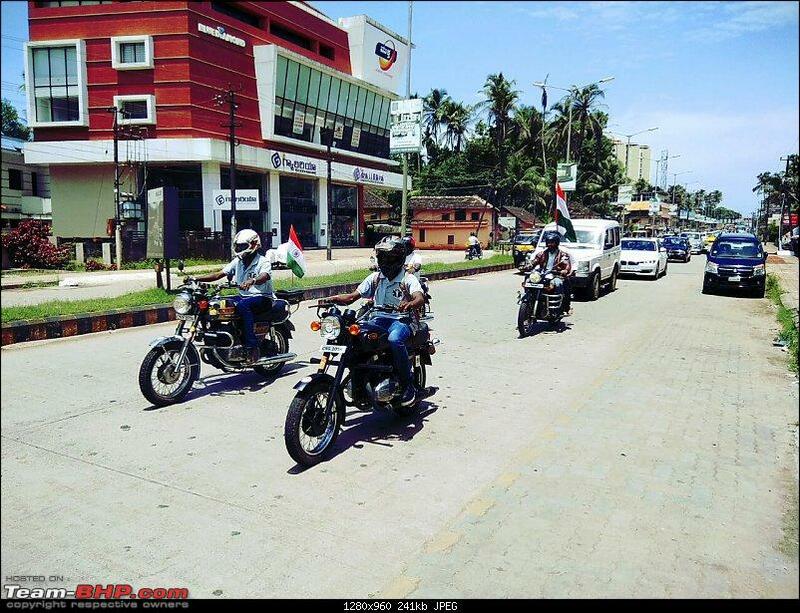 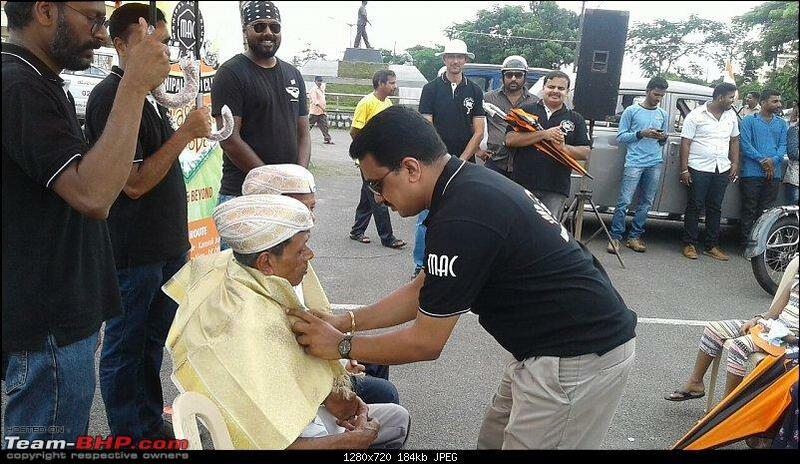 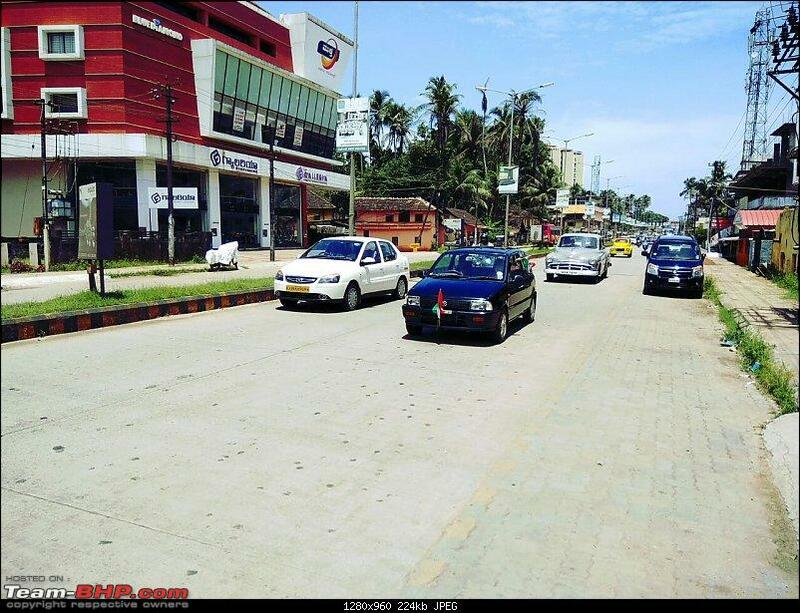 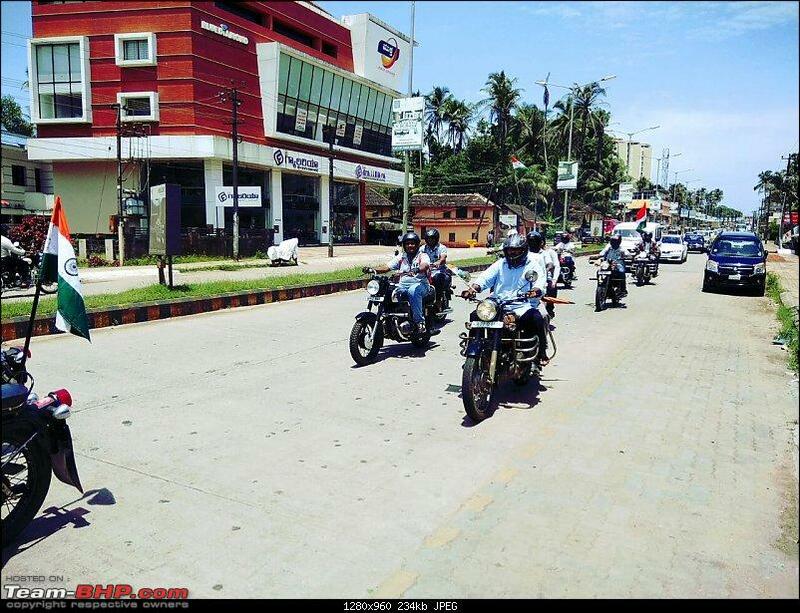 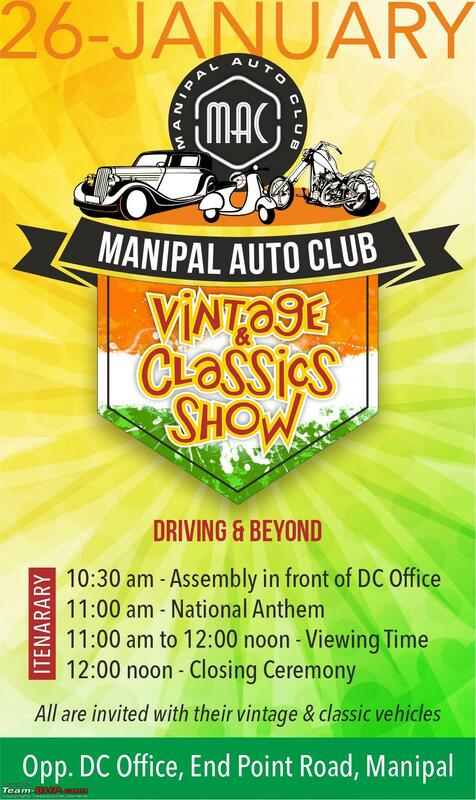 Background: Manipal Auto Club (MAC) comprises of a small group of enthusiasts, that includes people from all walks of life. 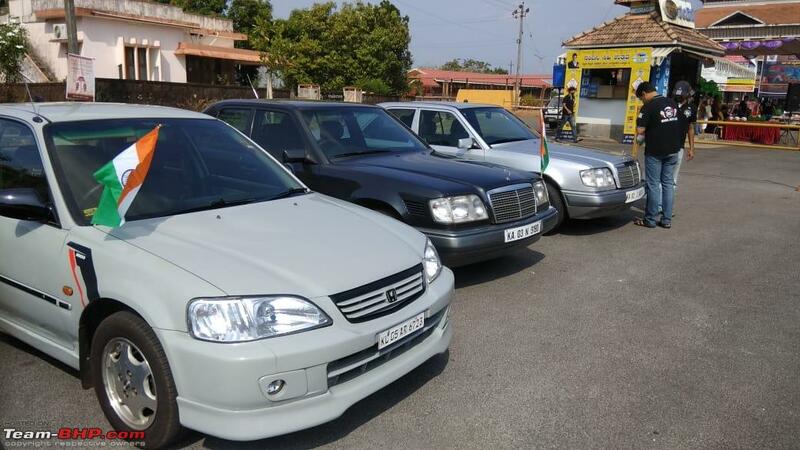 Bhpians in the club are carfreak, Deep Blue, Manipal, ferrariwell and I. 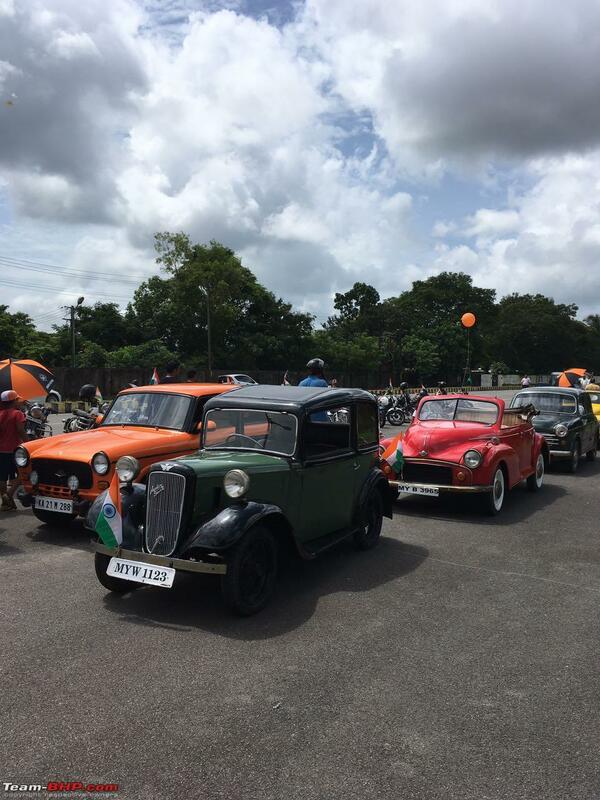 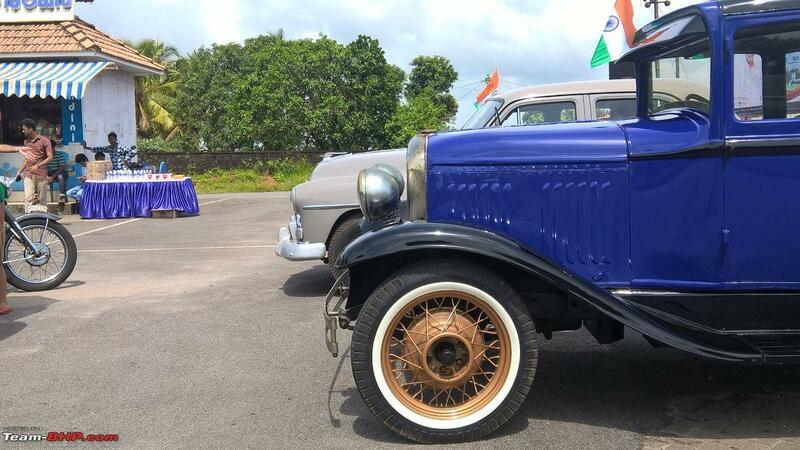 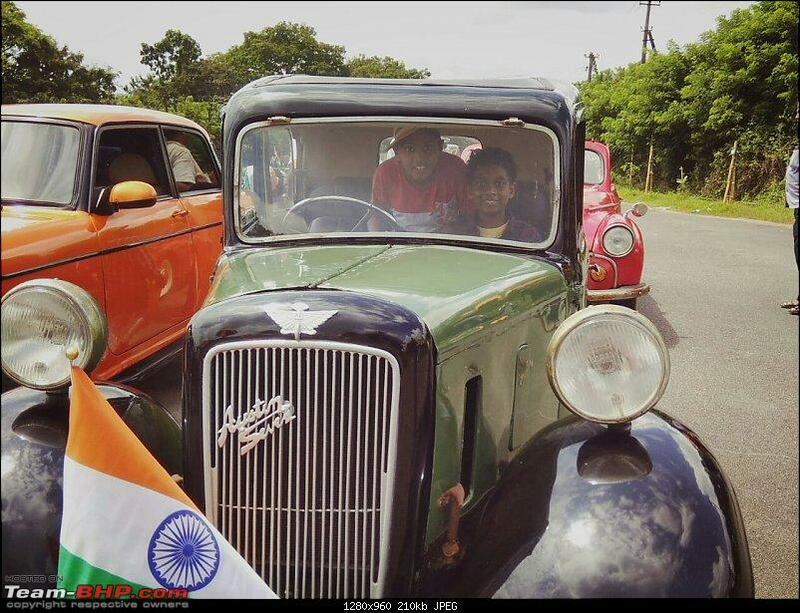 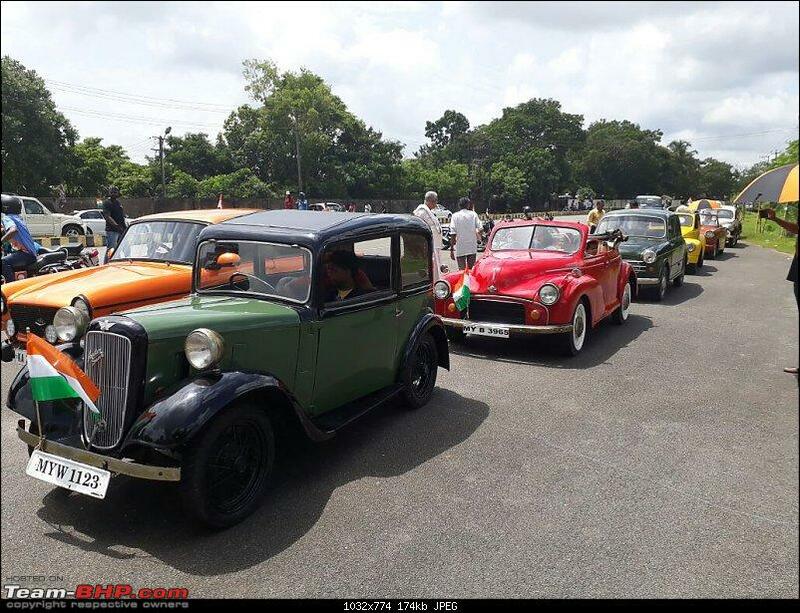 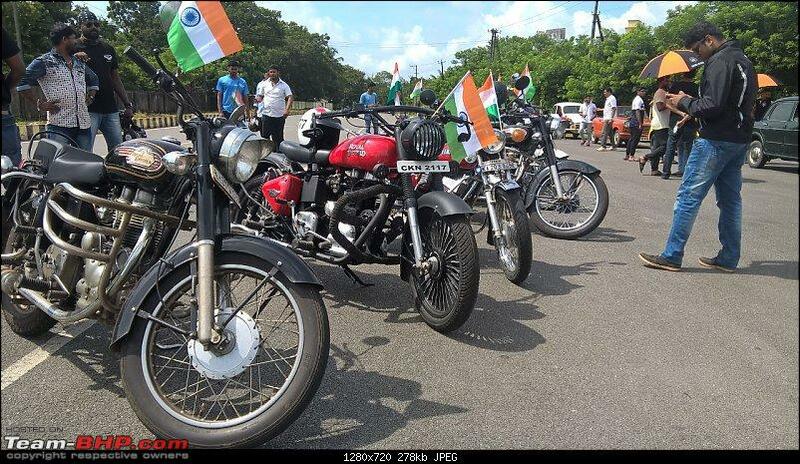 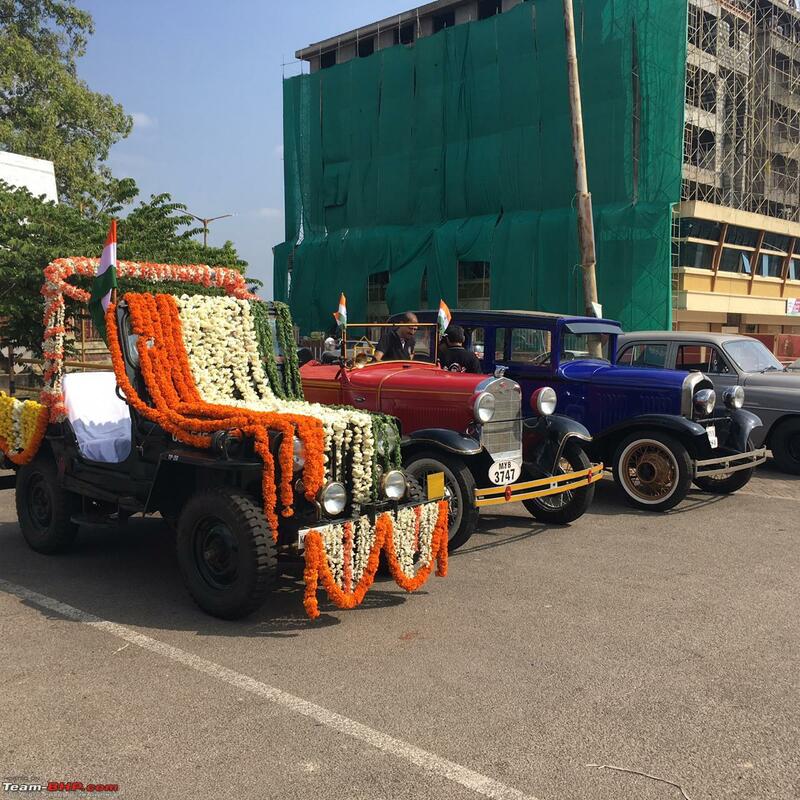 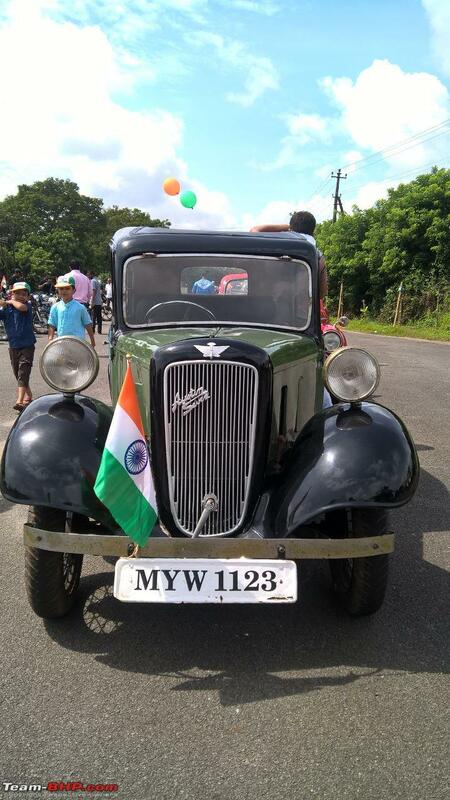 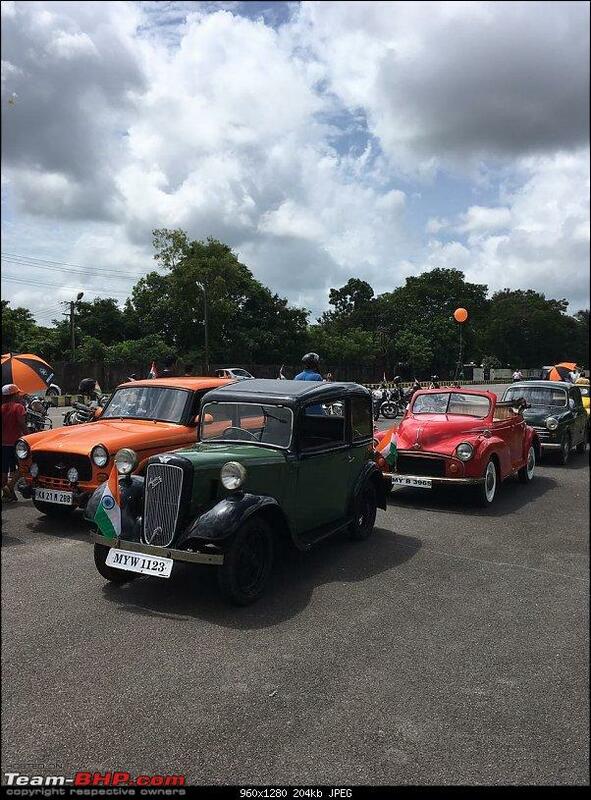 In 2017, we had organised a Vintage Rally on the occasion of Independence Day which witnessed a good turnout of cars and spectators. 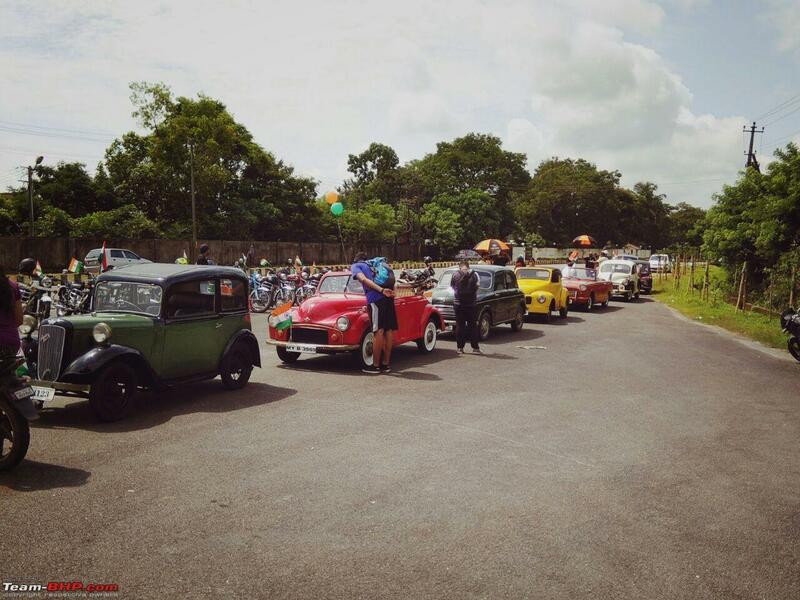 We were joined by the local Jawa club and the Bullet Club. 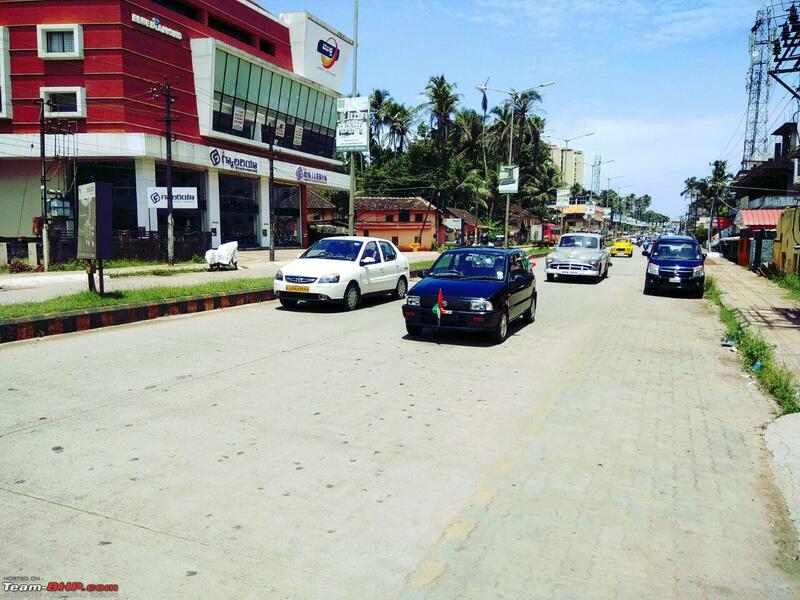 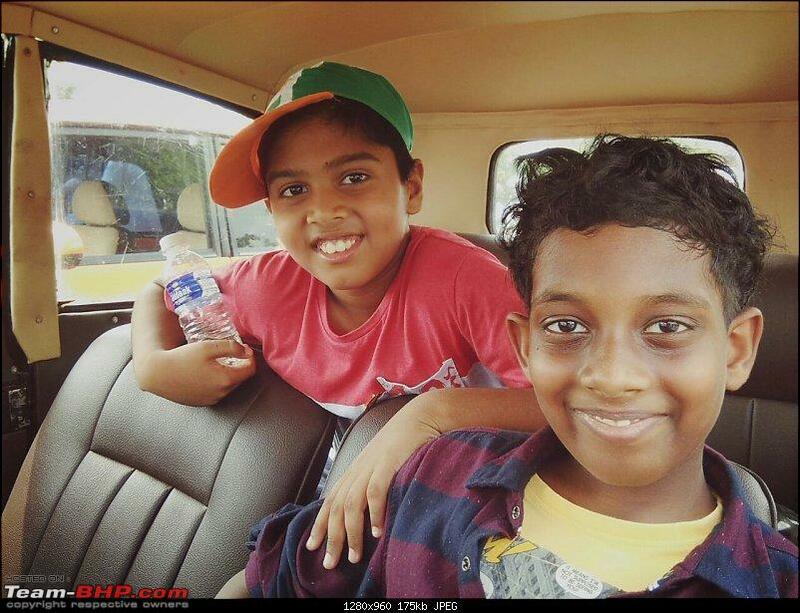 We had a nice, slow drive to Udupi and back, covering a distance of about 14 km. 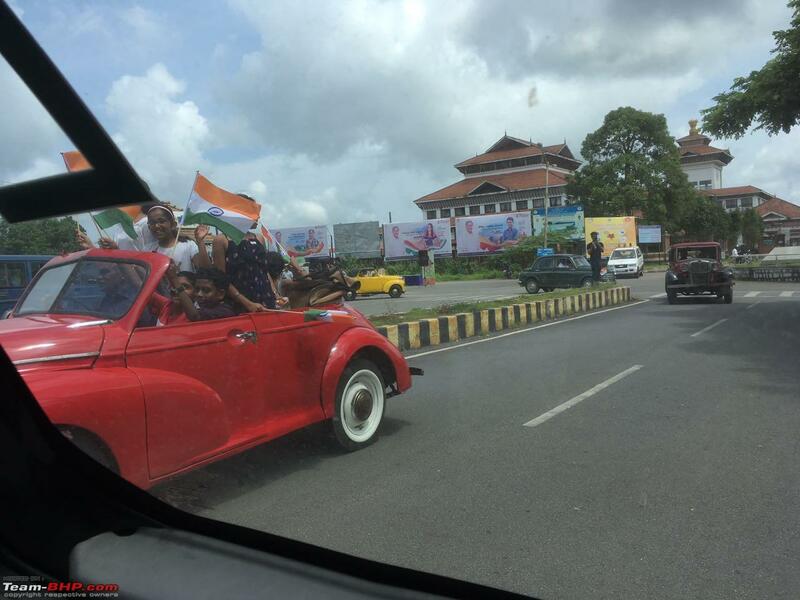 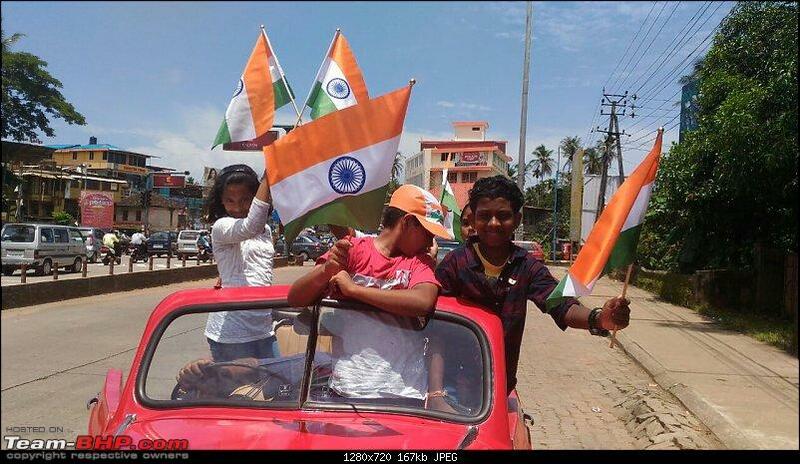 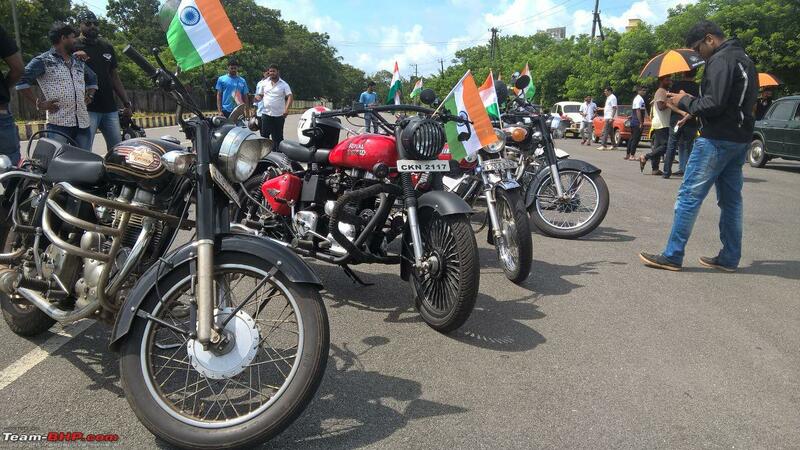 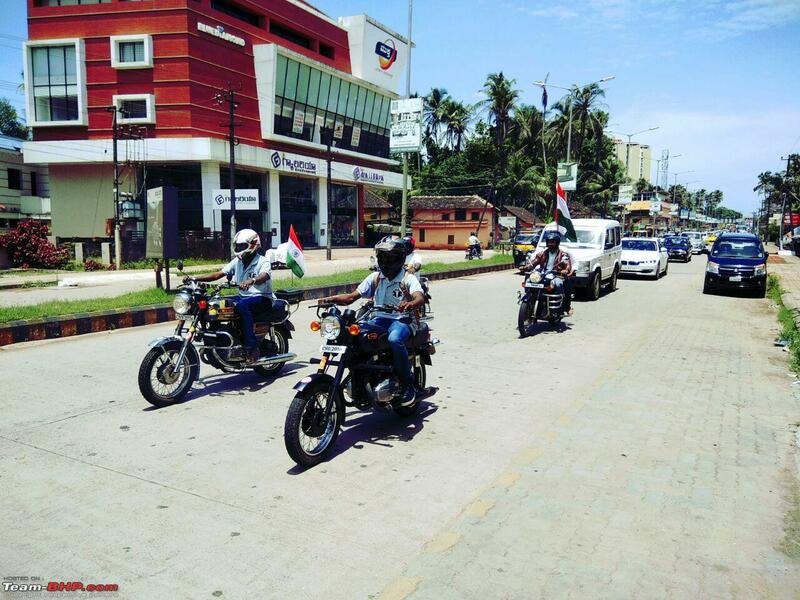 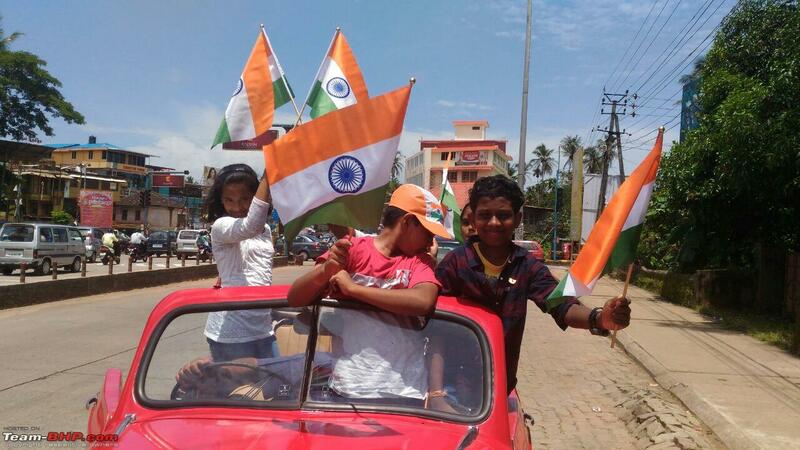 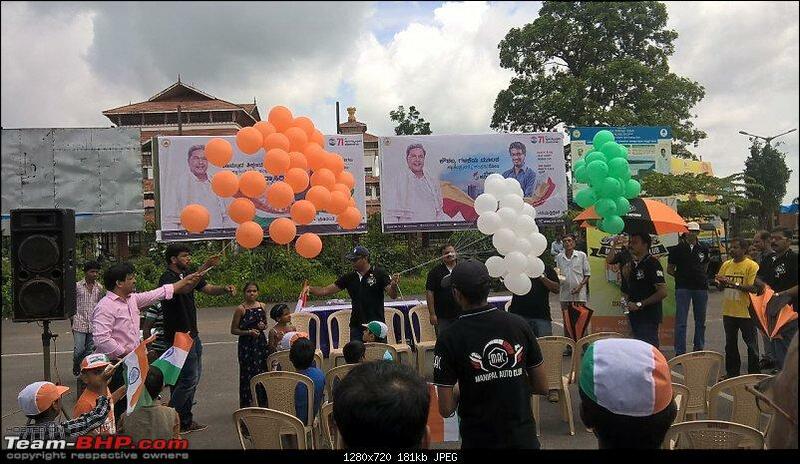 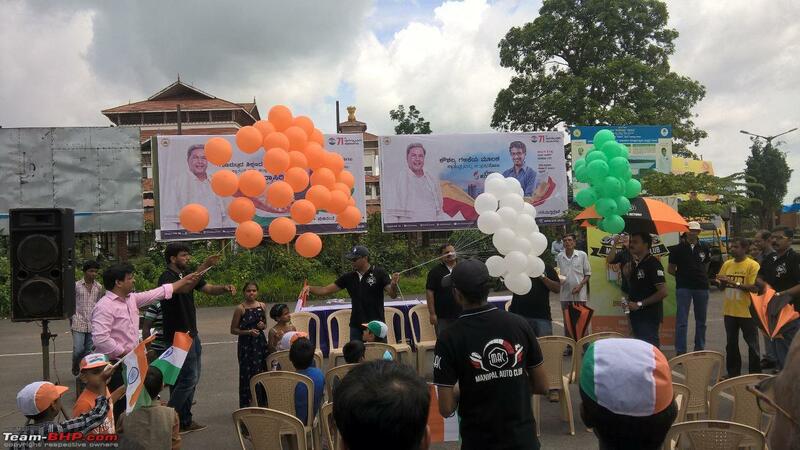 It was amazing to see the reaction of the public, cheering and clicking photos as we passed by. 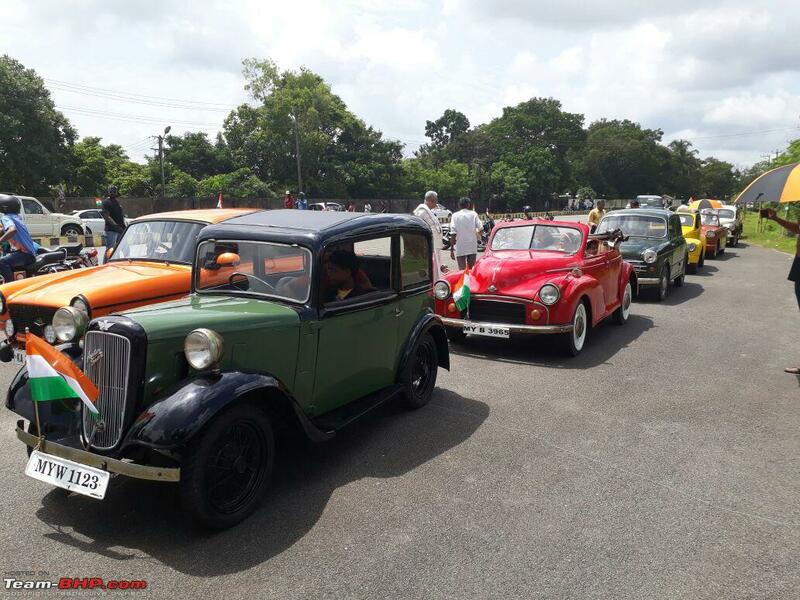 This year though, we have decided to restrict the event to be just a show, since a few of the cars had issues with heating during the rally. 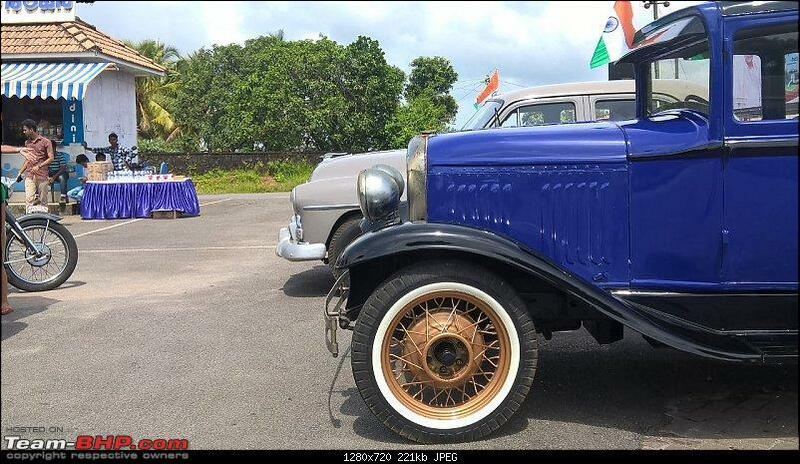 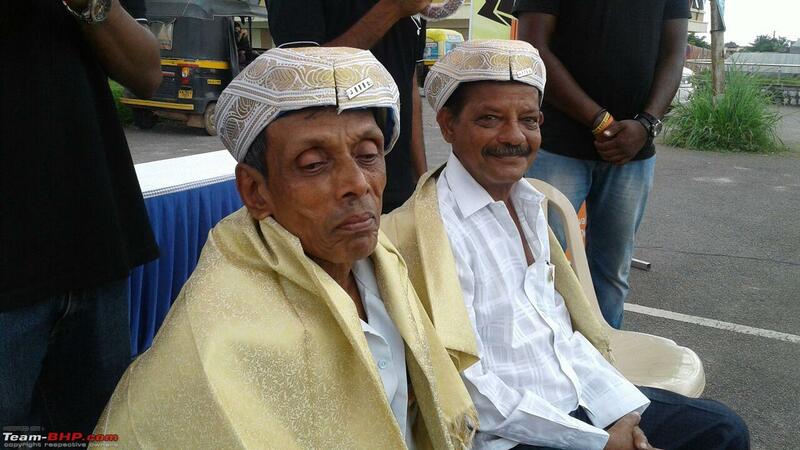 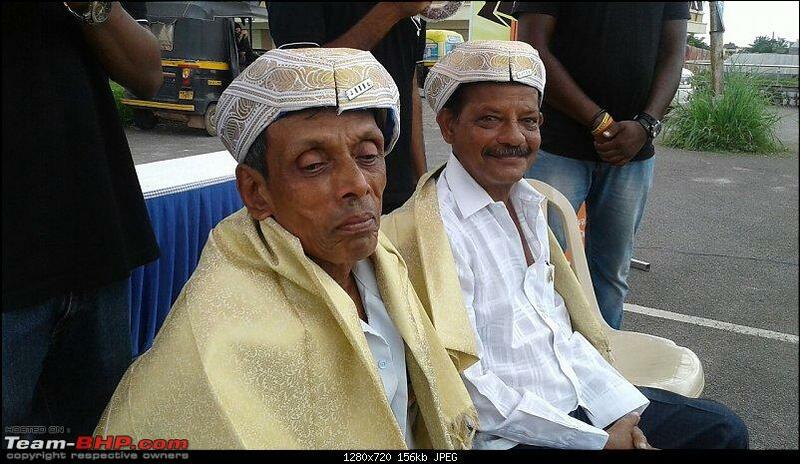 We also honoured 2 mechanics; Vasanna - a magician with old engines, and "Bullet" Basheer - the go to guy for Royal Enfeild owners. Last edited by samaspire : 25th January 2019 at 19:09. 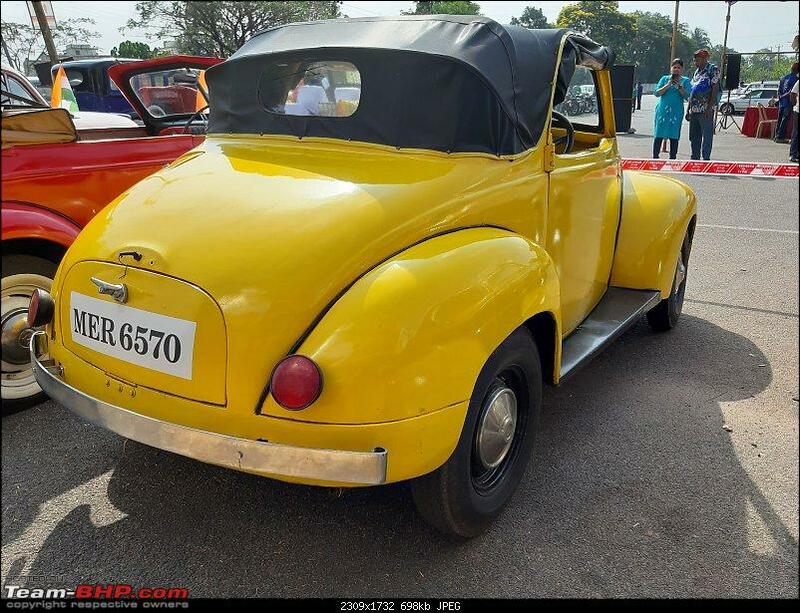 Fiat 500 C Topolino " Bug Fiat"
Last edited by Deep Blue : 27th January 2019 at 15:34. 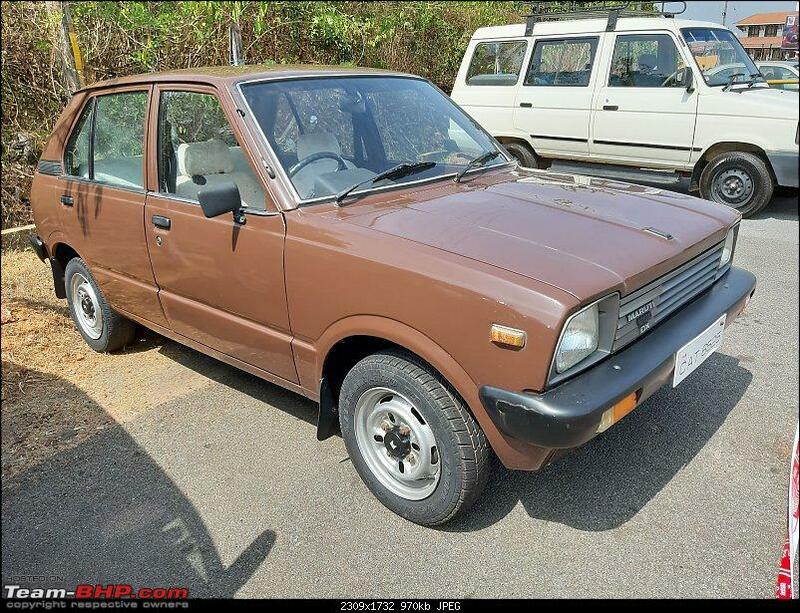 Sorry guys, could not make it this time. But you guys have put up a good show. 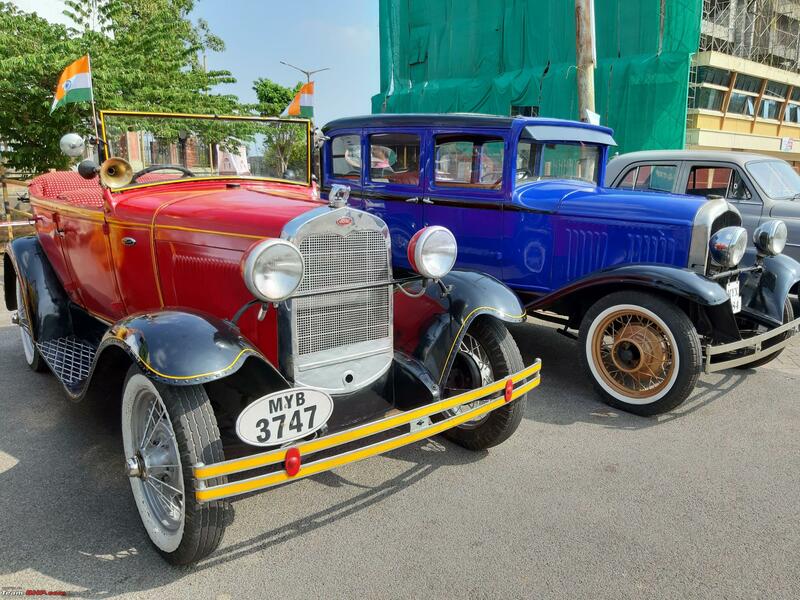 An impressive collection of vintage cars. 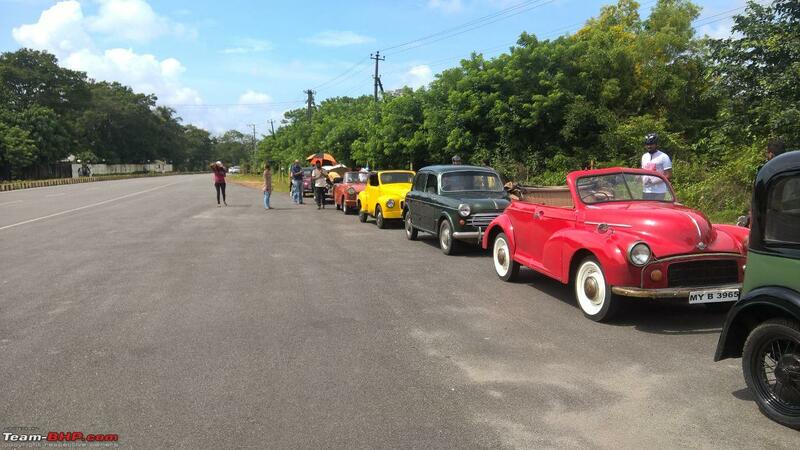 I see most of the usual suspects had turned up with their cars. 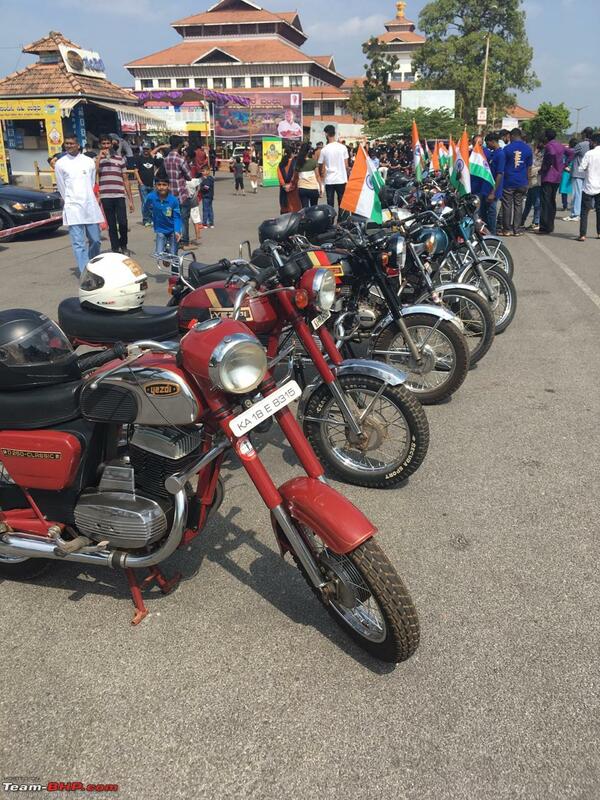 Kudos to all of you for putting up a good show. 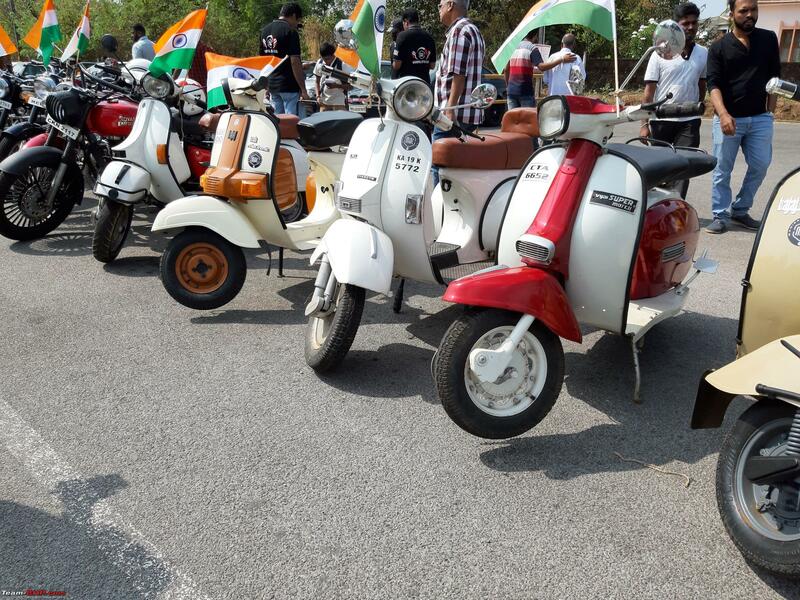 Thanks Deep Blue for sharing these pictures. 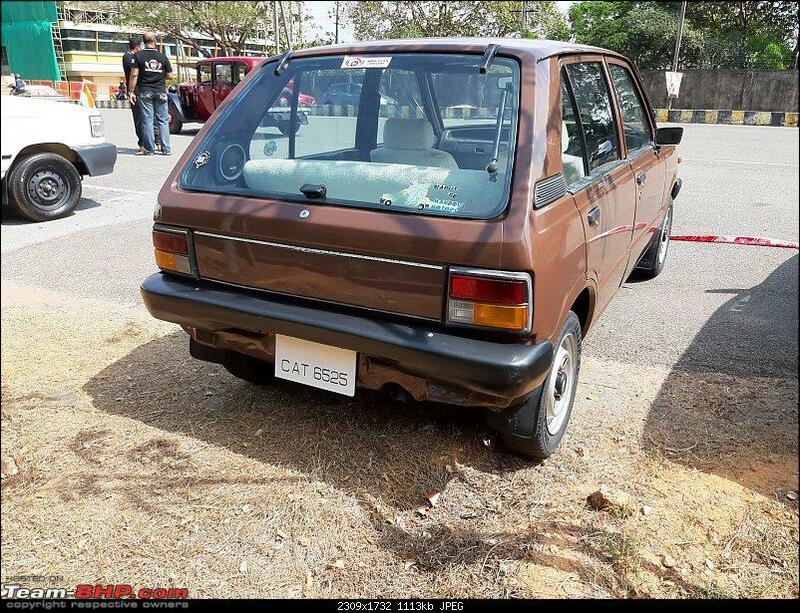 Whilst I am very enthused about the participation and wide variety of cars, the quality of the cars are very disappointing. 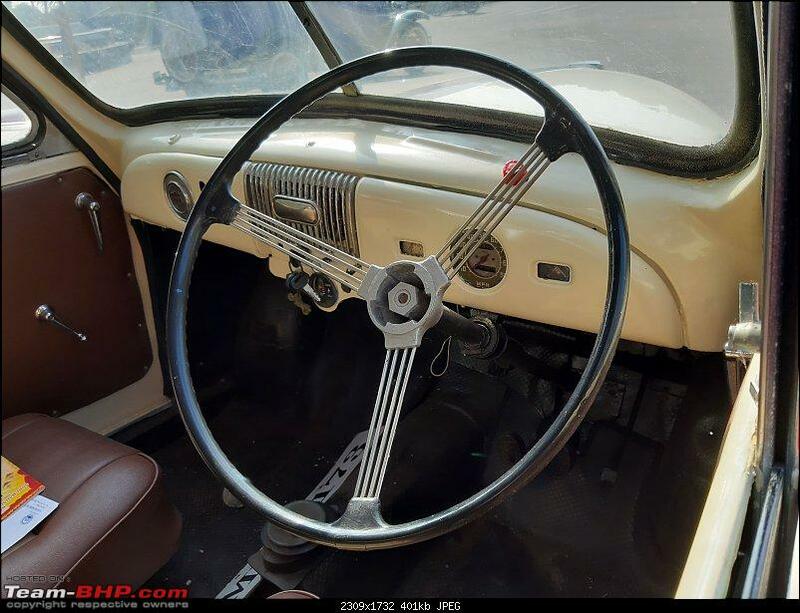 I am hoping that this would be taken in the right perspective. 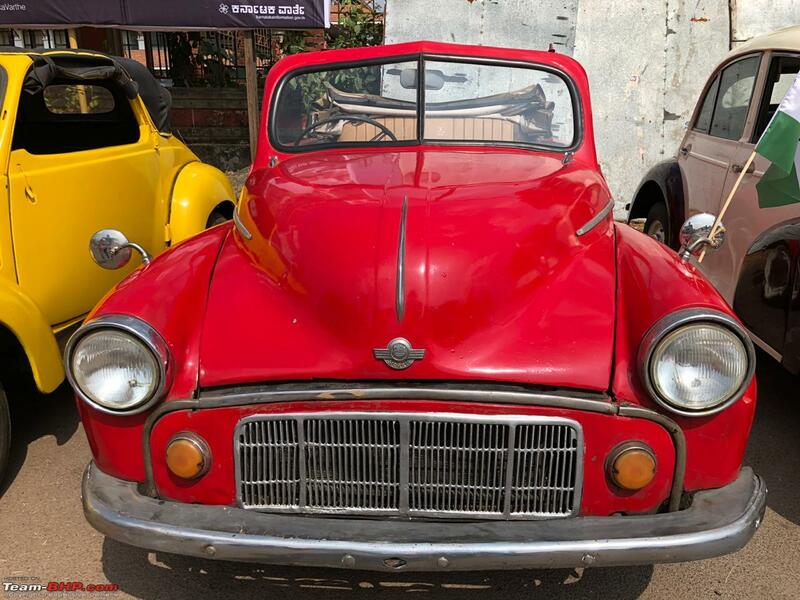 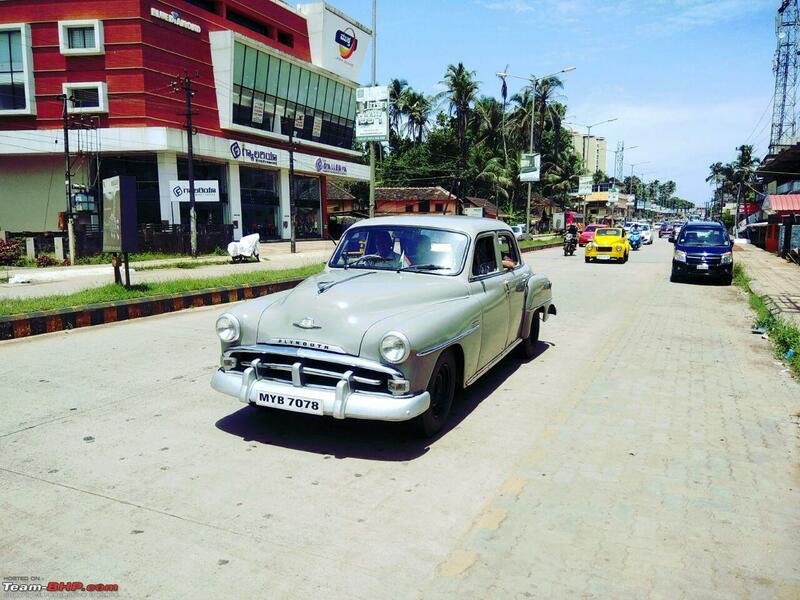 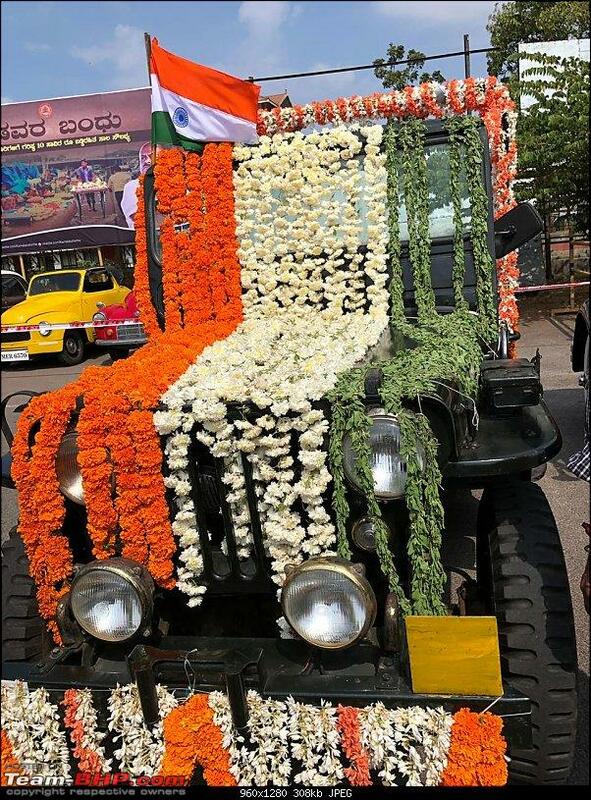 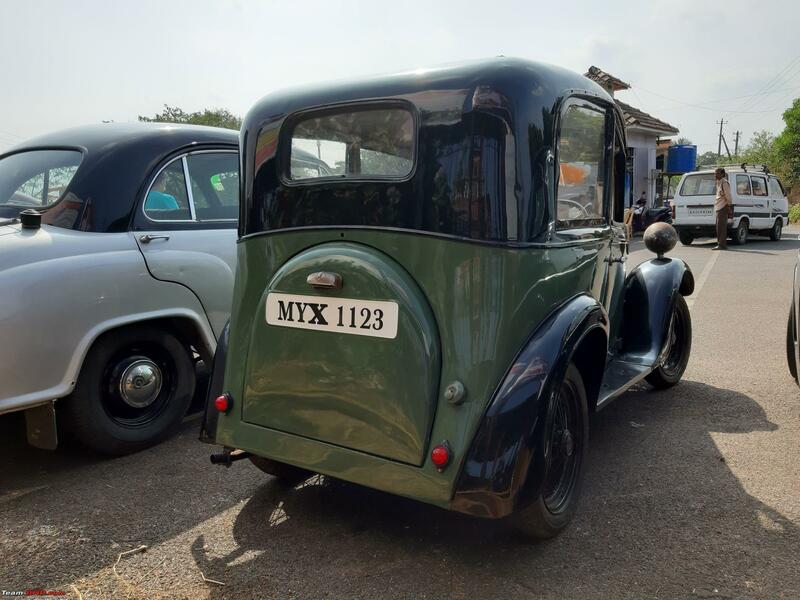 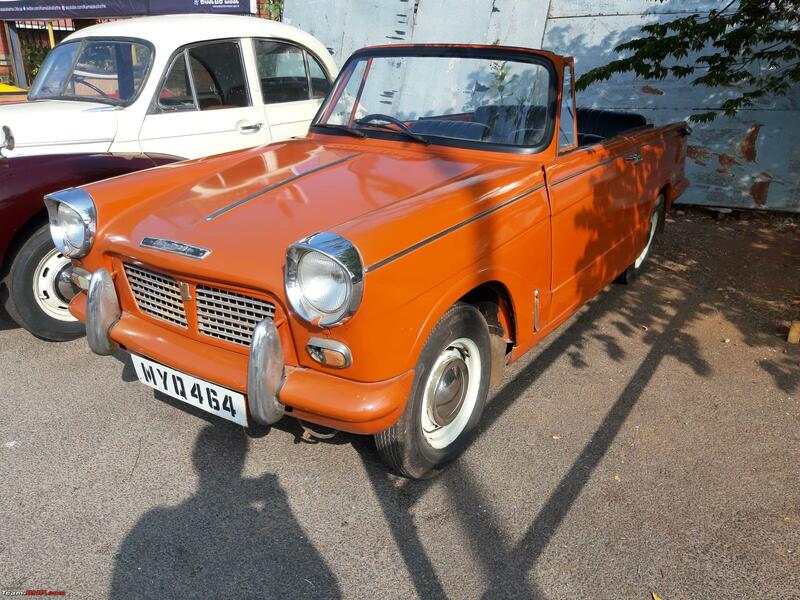 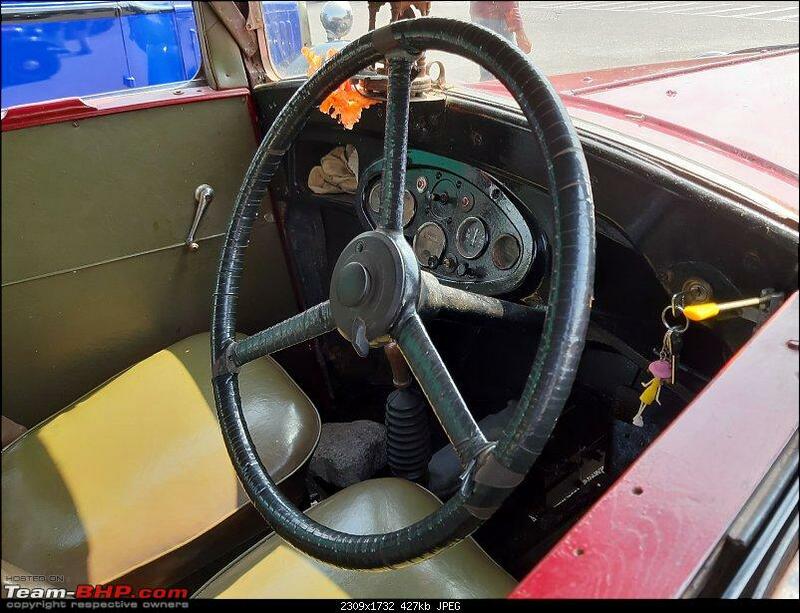 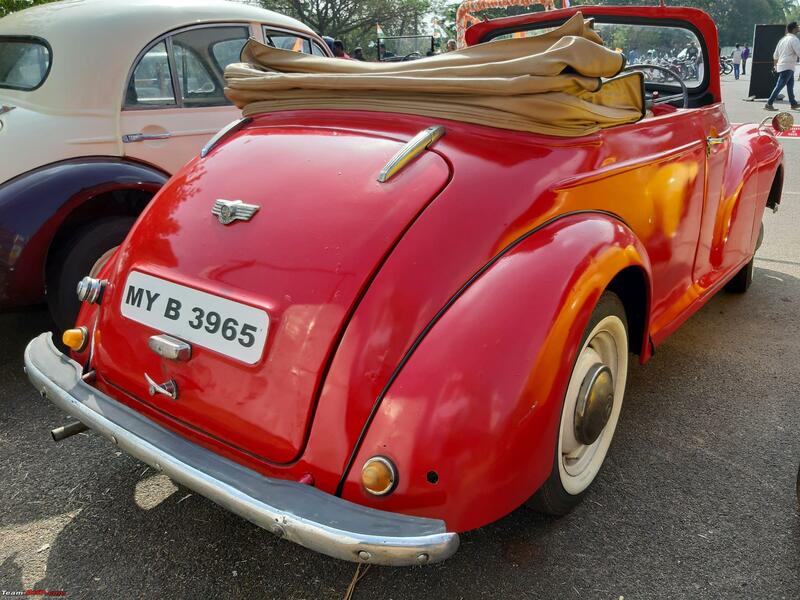 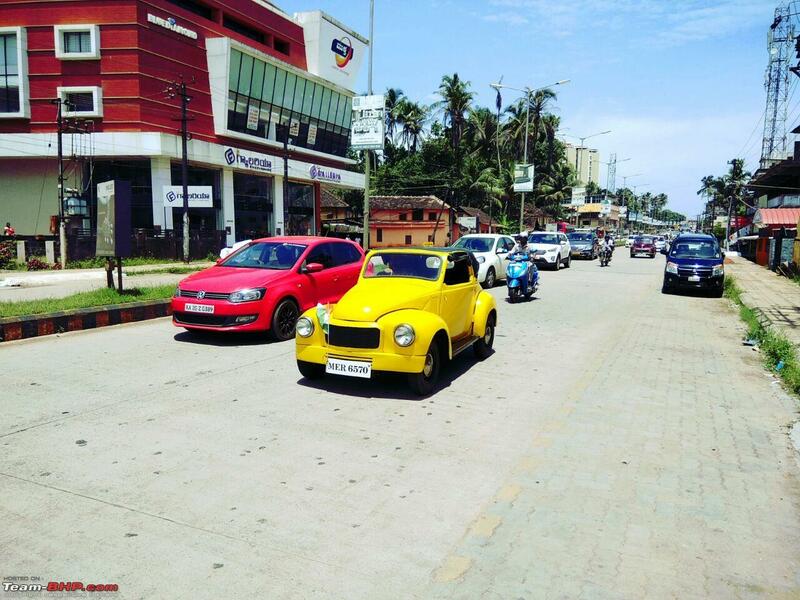 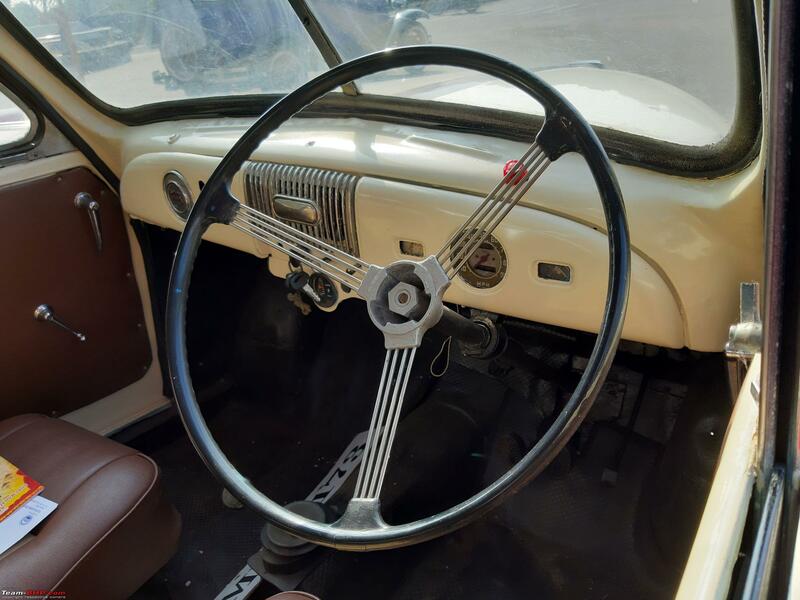 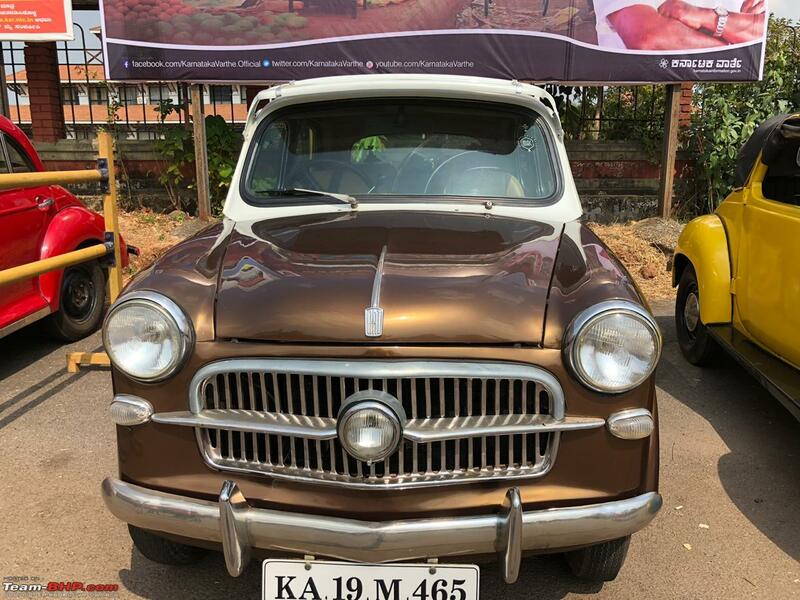 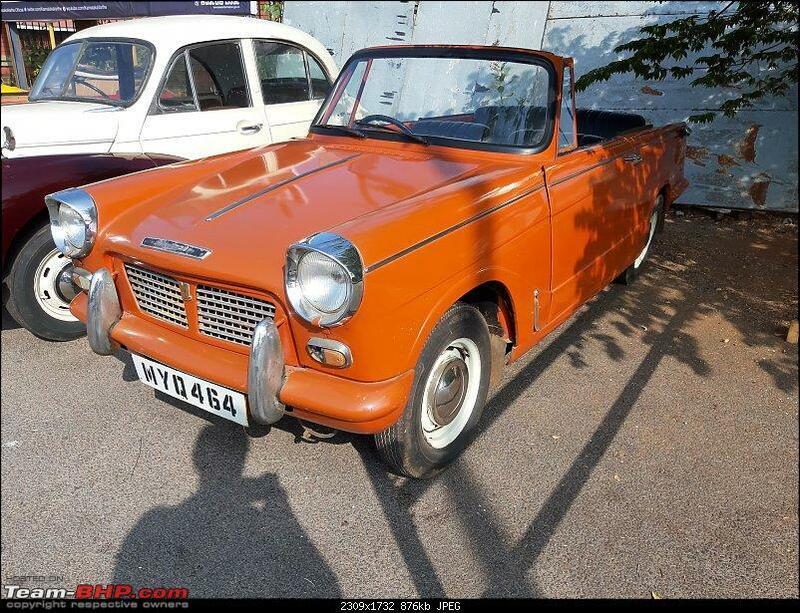 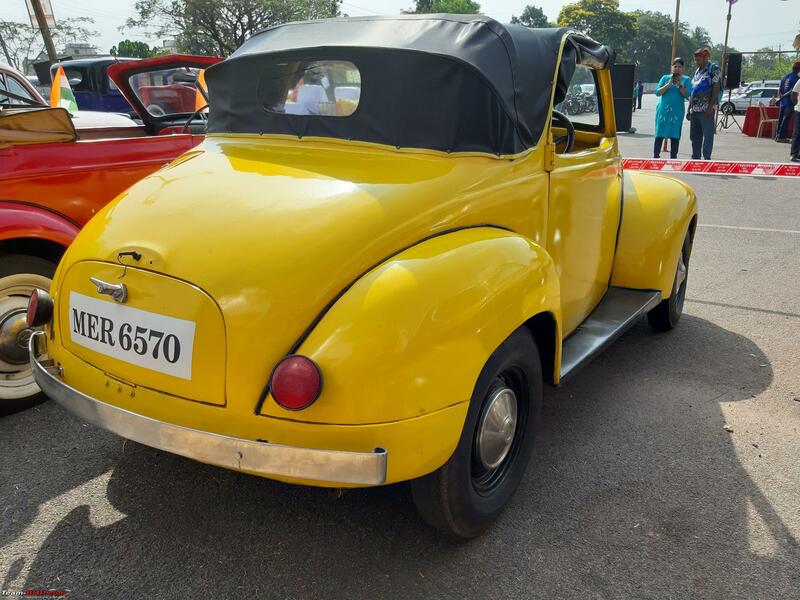 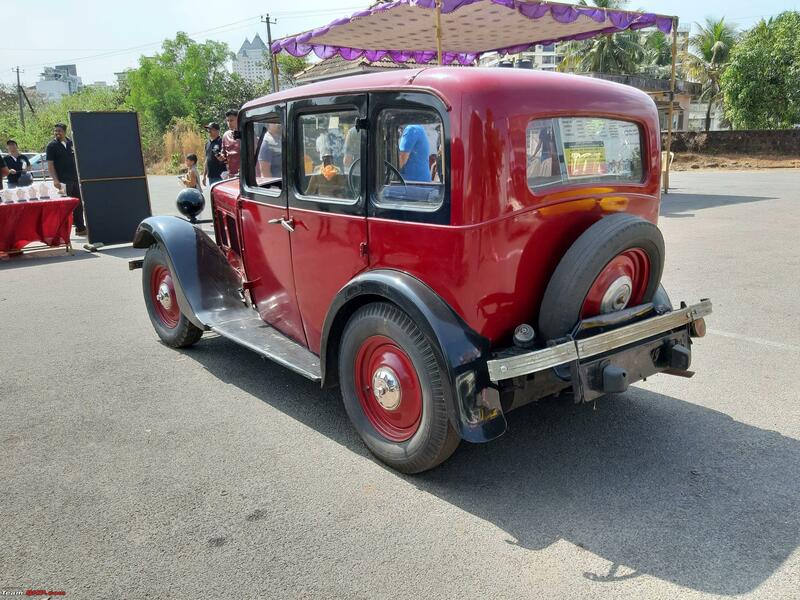 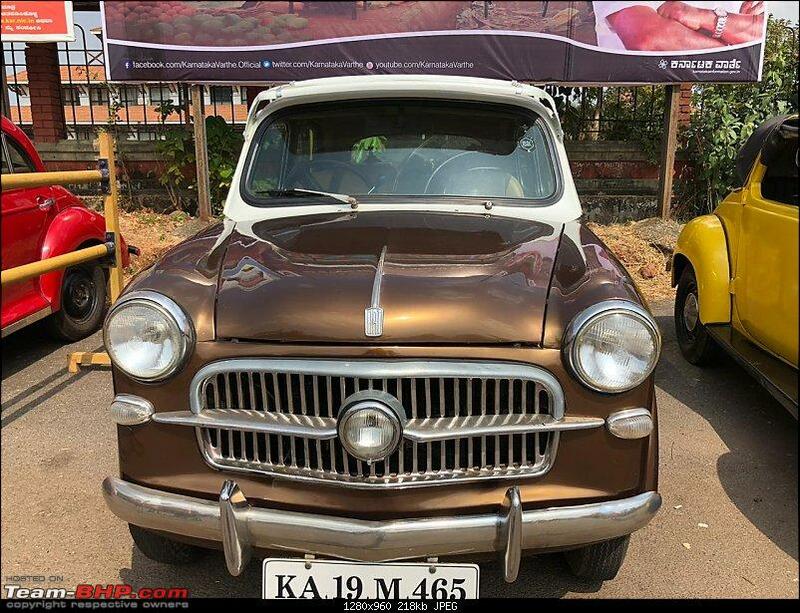 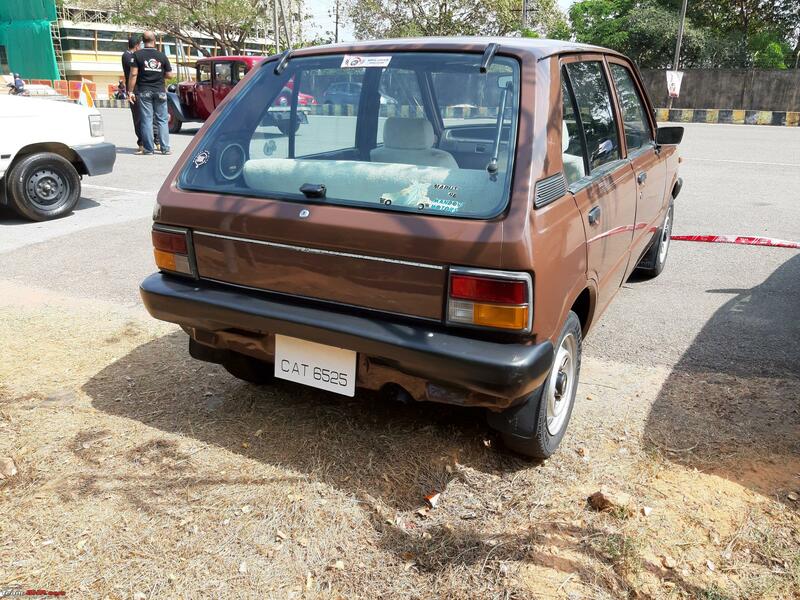 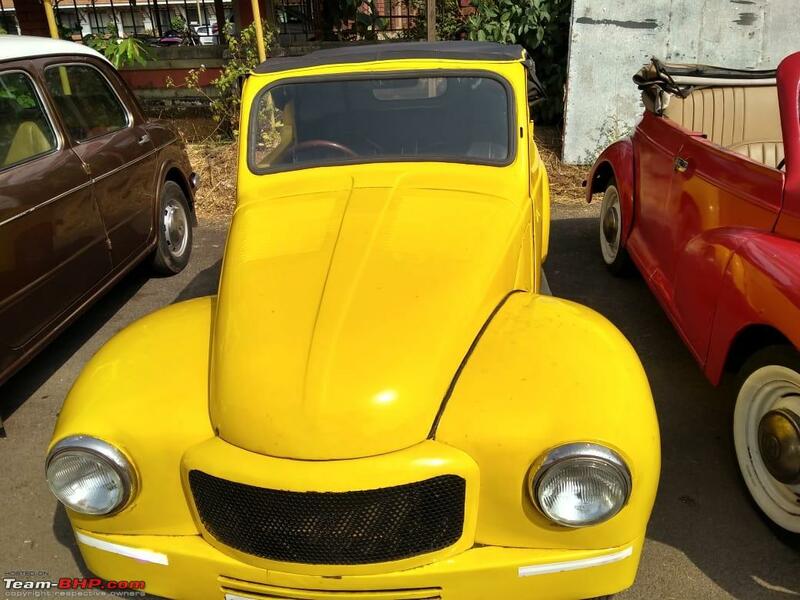 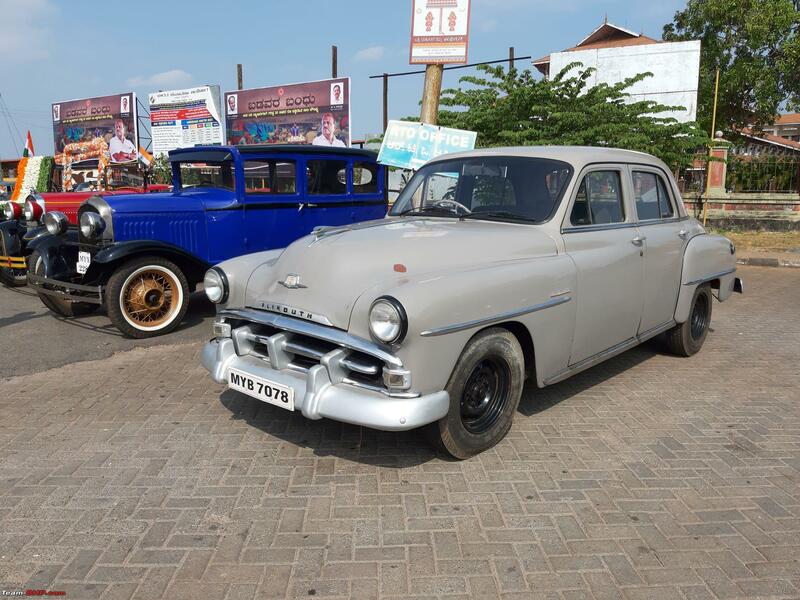 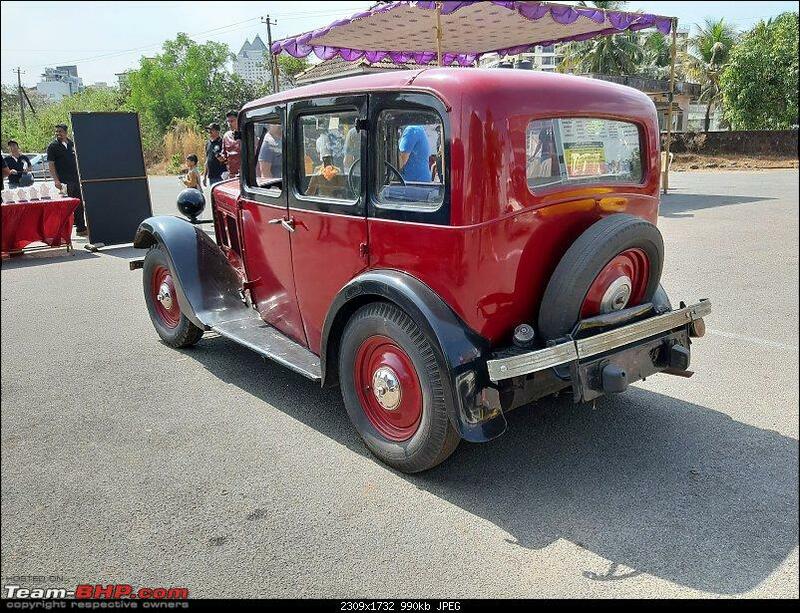 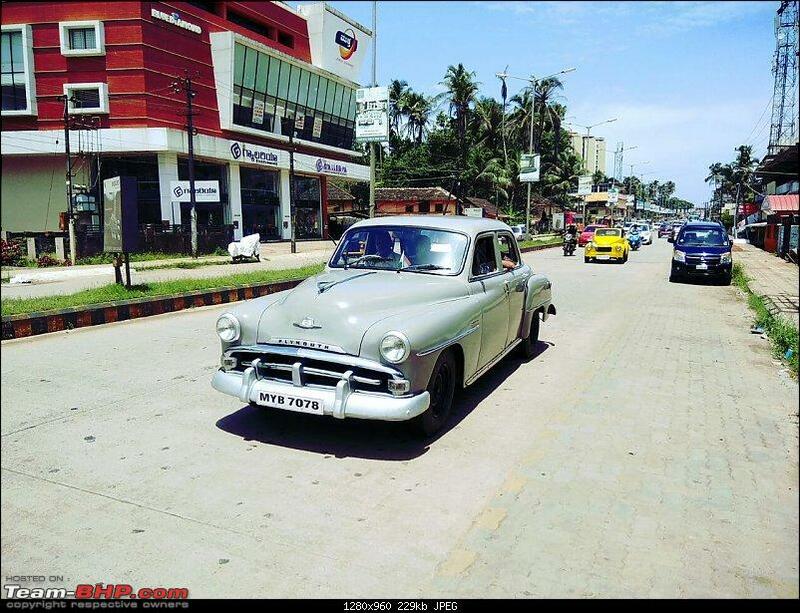 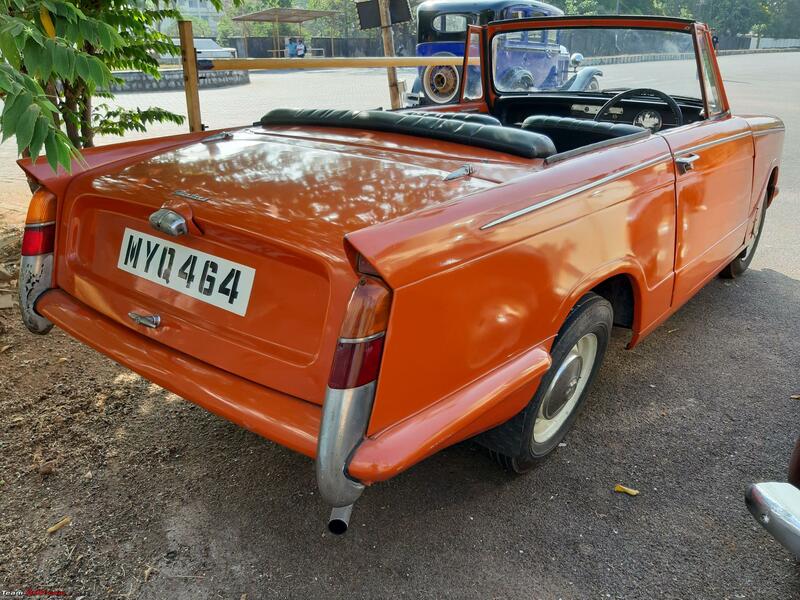 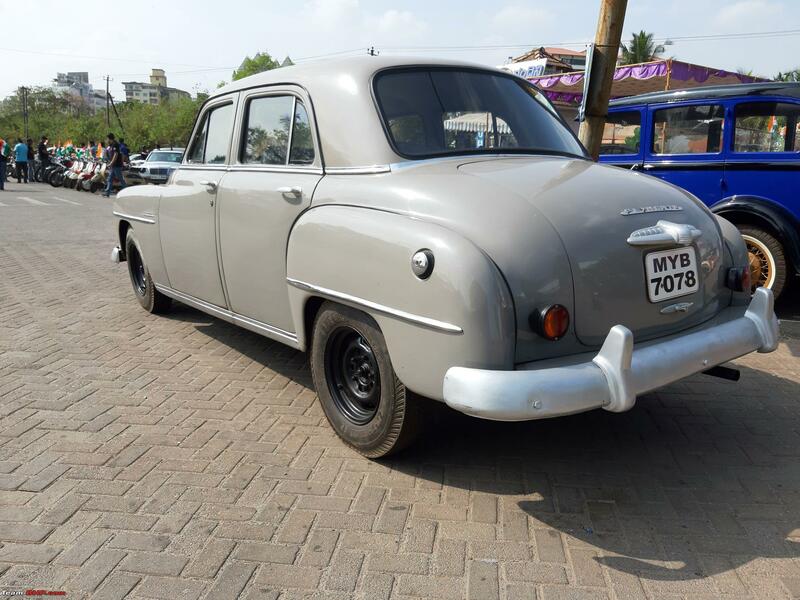 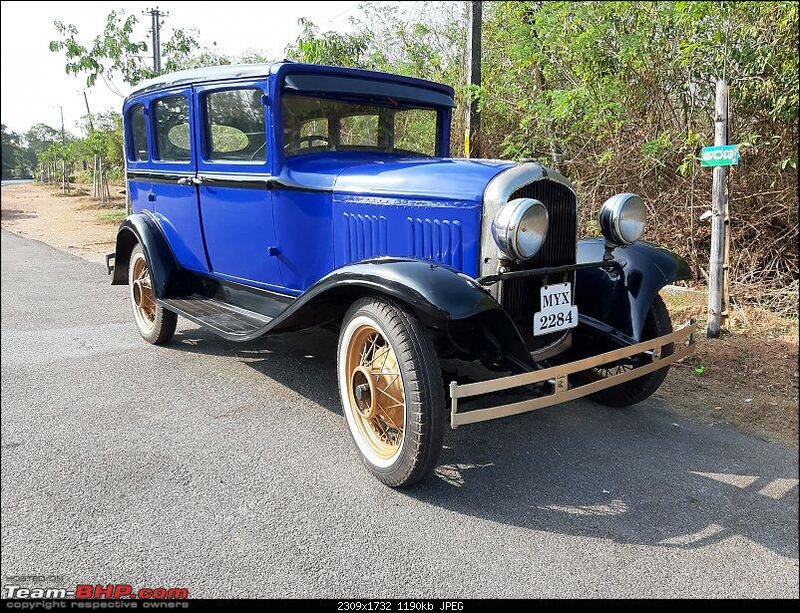 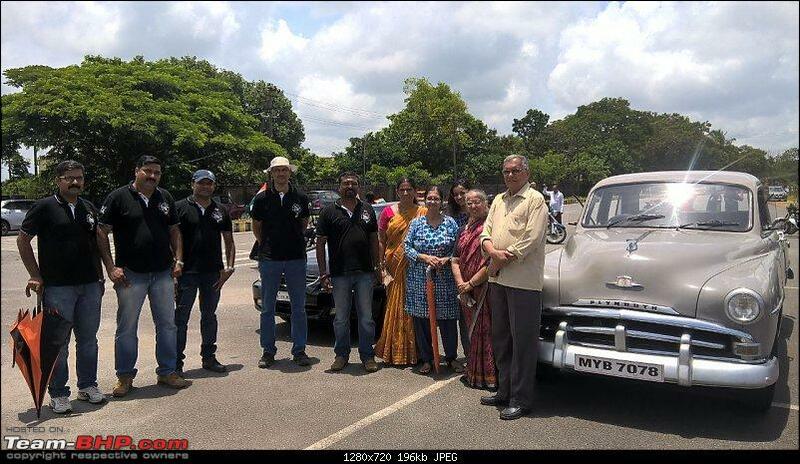 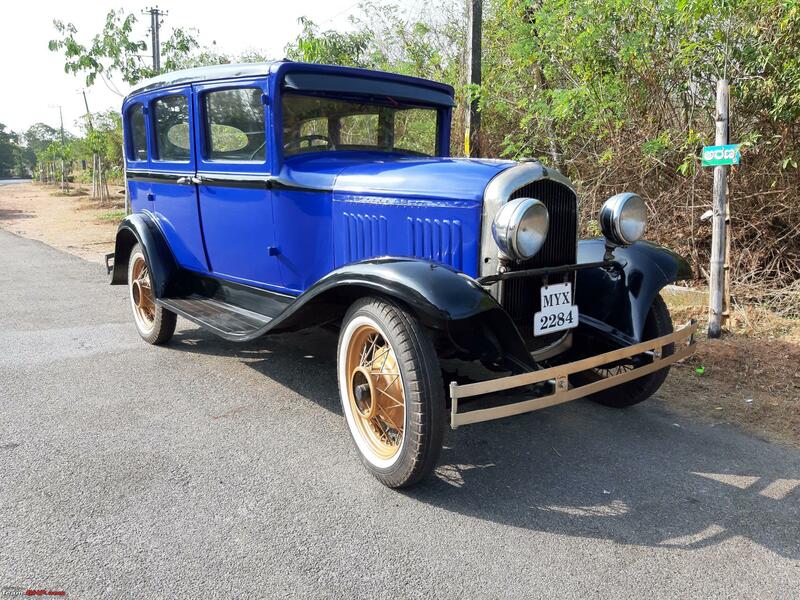 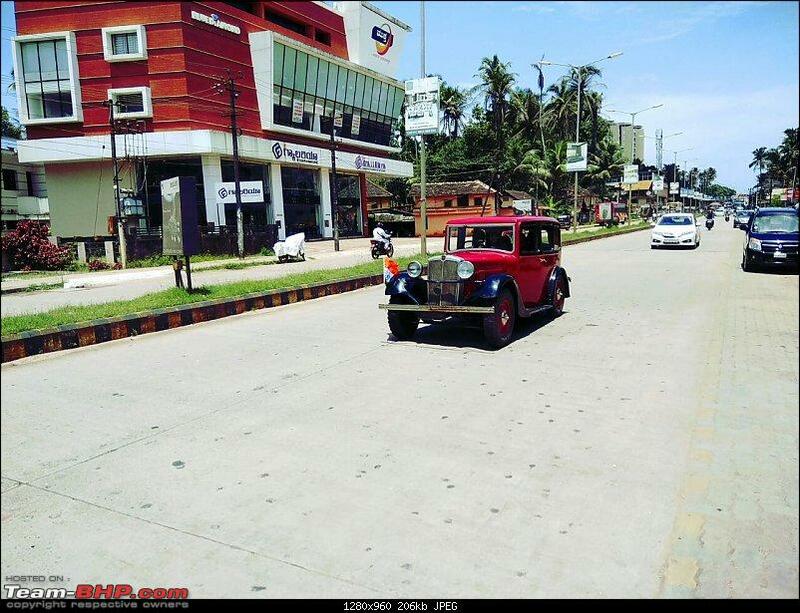 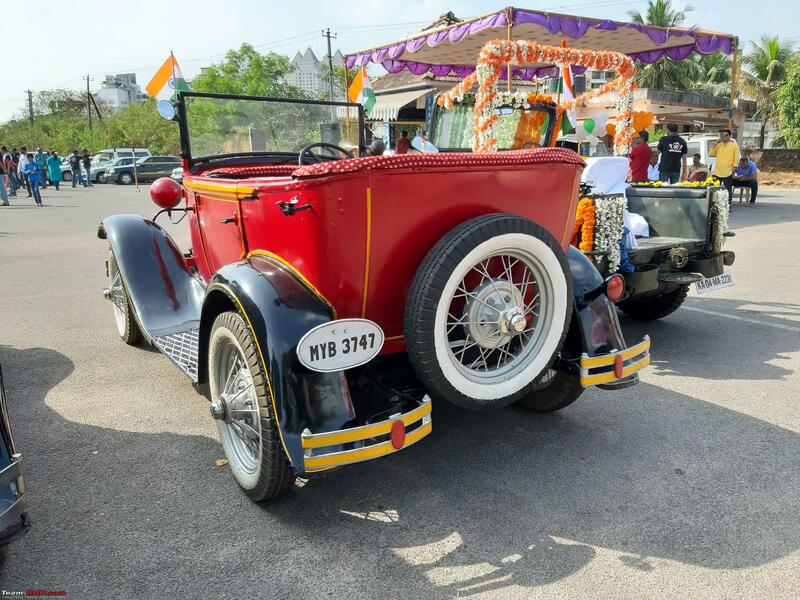 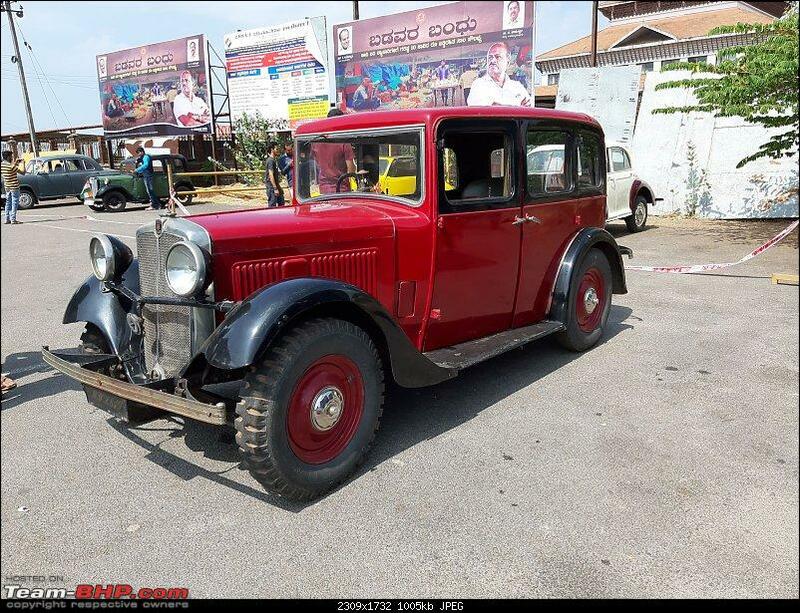 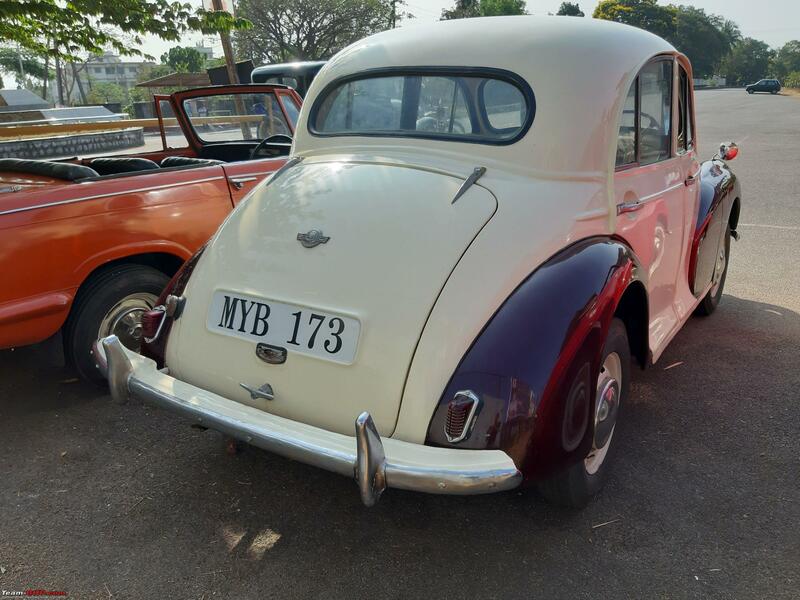 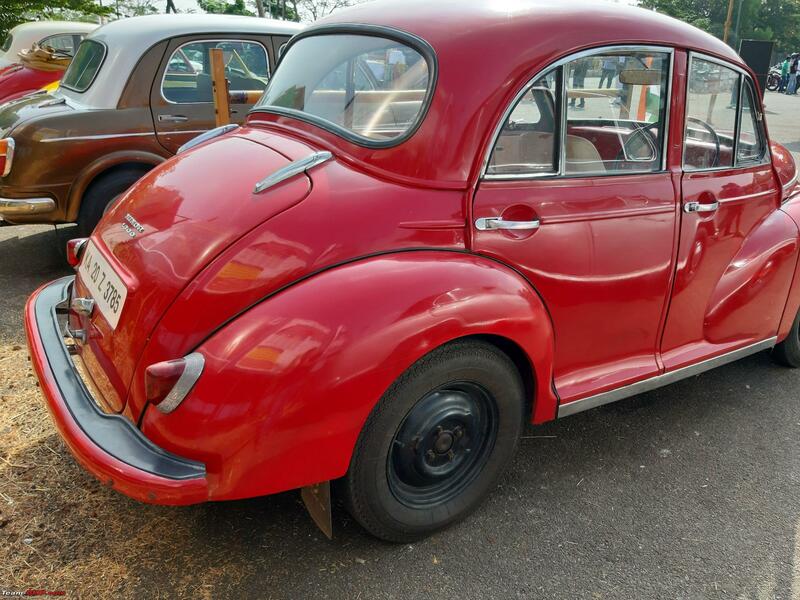 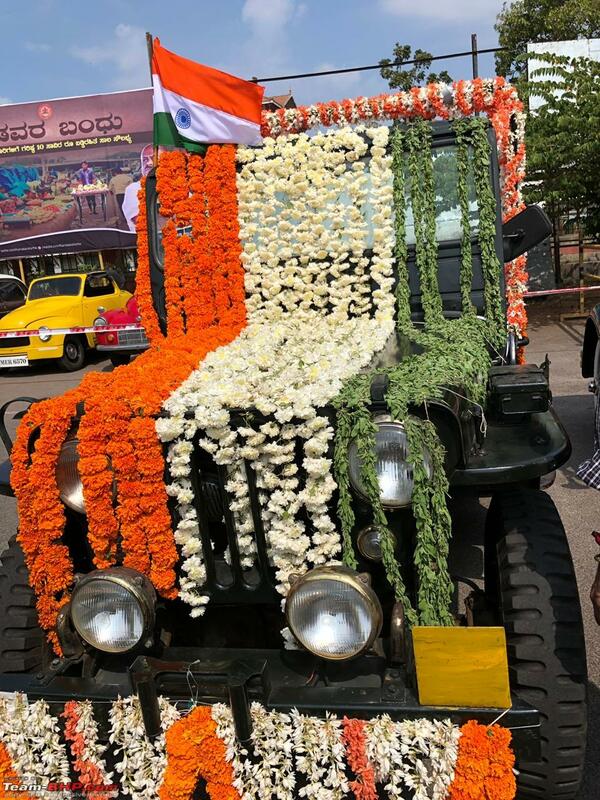 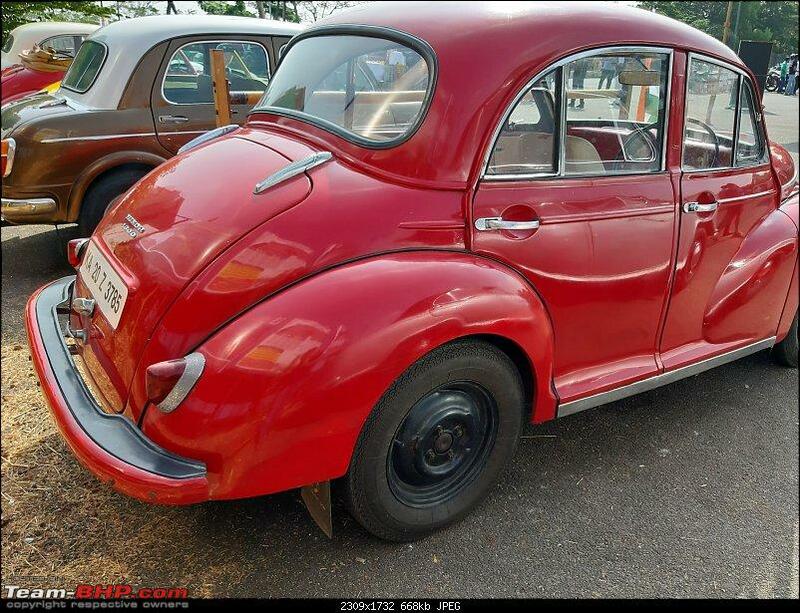 Having been associated very closely with the Karnataka Vintage and Classic Car Club (KVCCC), we have been attuned to seeing significantly more originality in the cars. 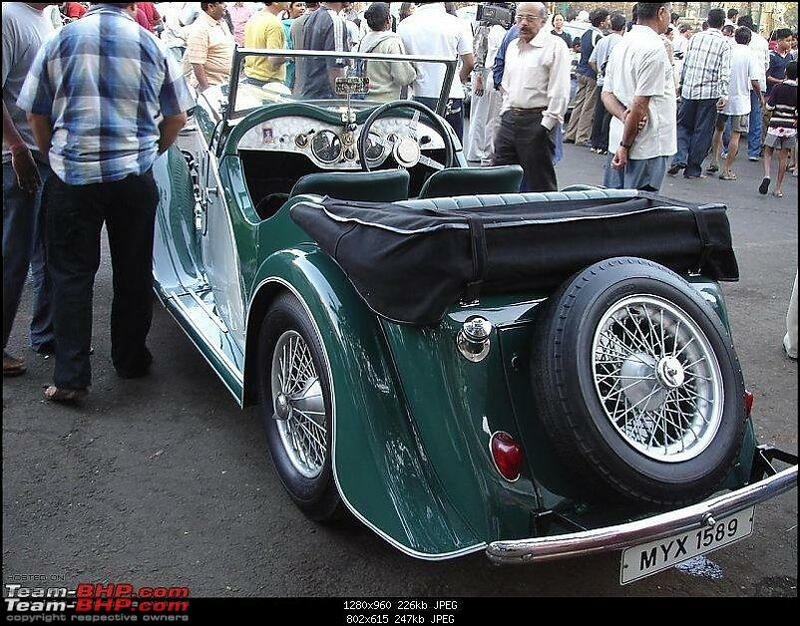 Secondly you have to segregate between Vintage, Classic and Modern Classic cars. 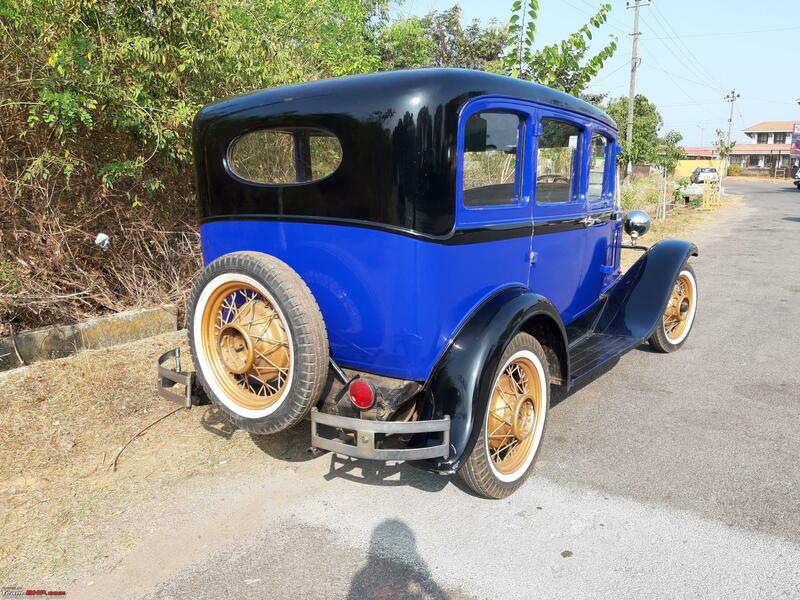 Unless the Vintage car owner gets recognition for his car and originality, there will be motivation to ensure the same. 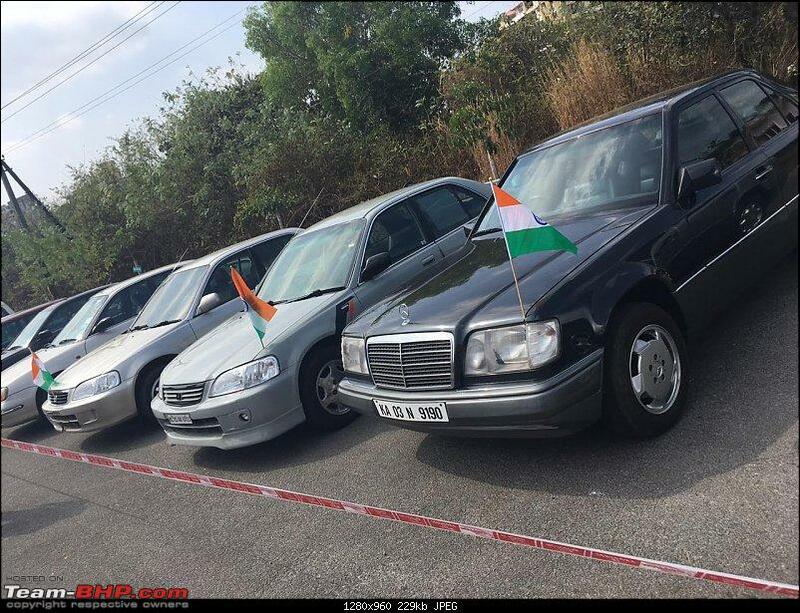 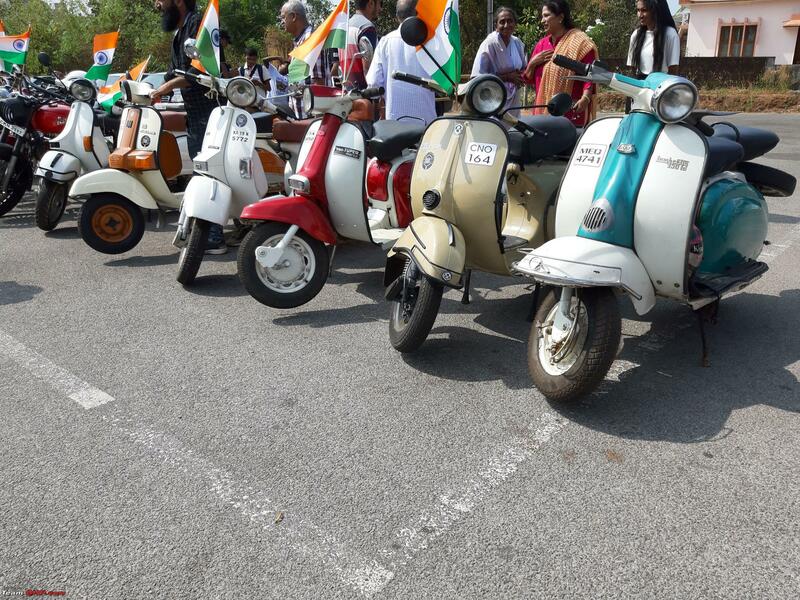 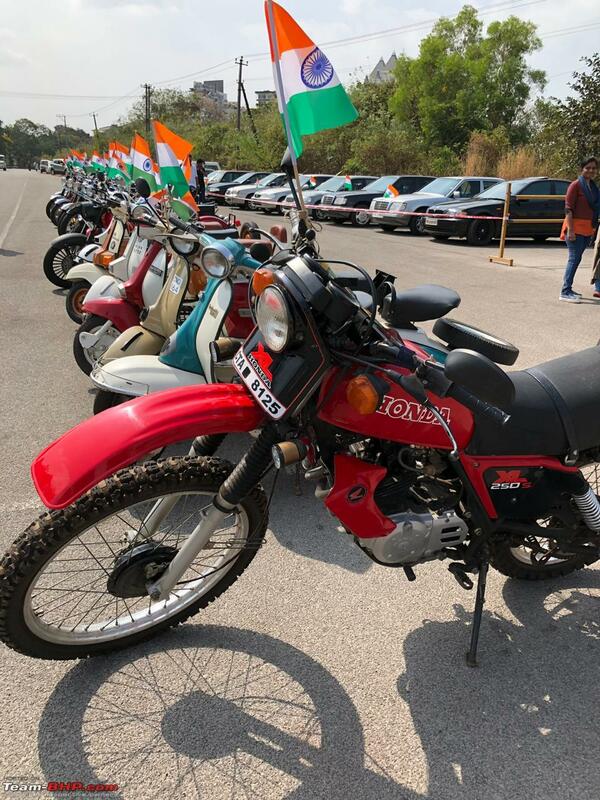 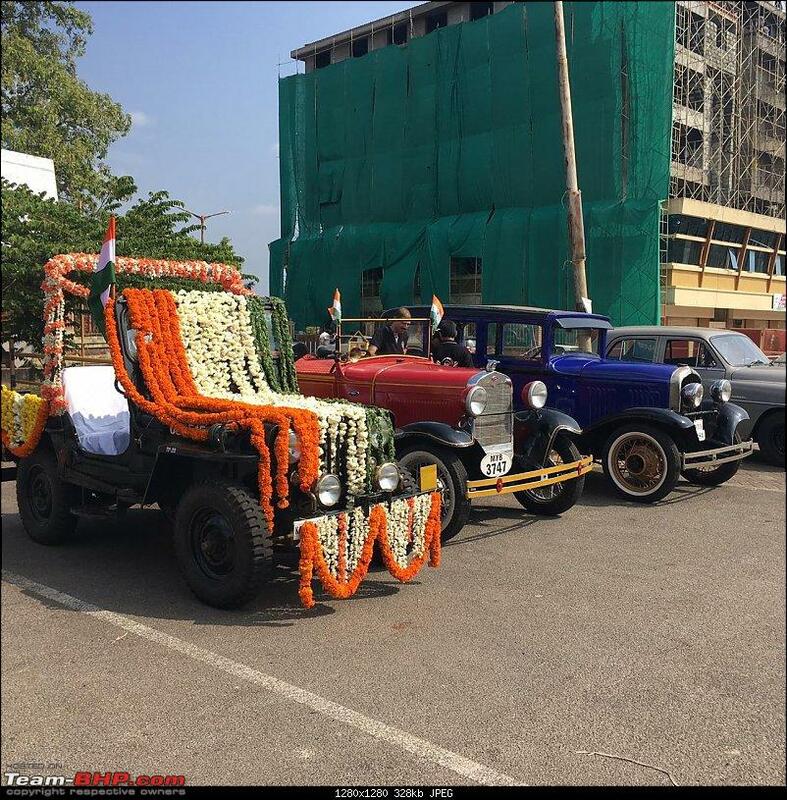 How can you get such cars to attend your rally? 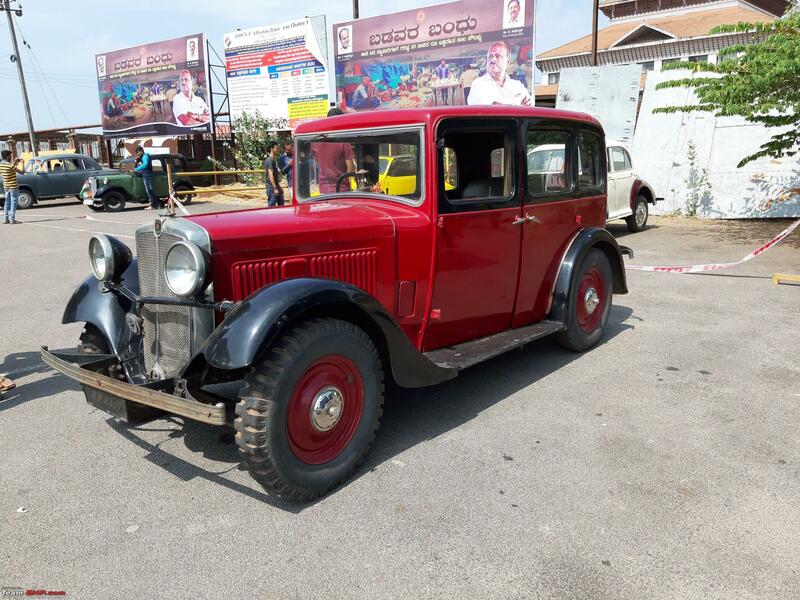 We can seek tremendous inspiration from the Manjusha Museum (Manjusha Museum, Dharmasthala) and Dharmasthala. Few suggestions based on our experience at KVCCC, the cars are always listed and displayed as per their model years. 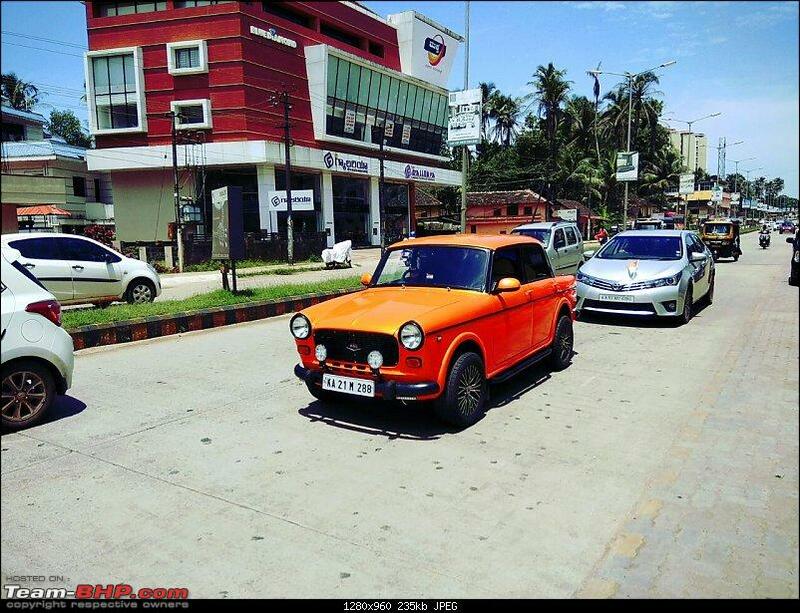 Modified cars are separated and originality is always rewarded. 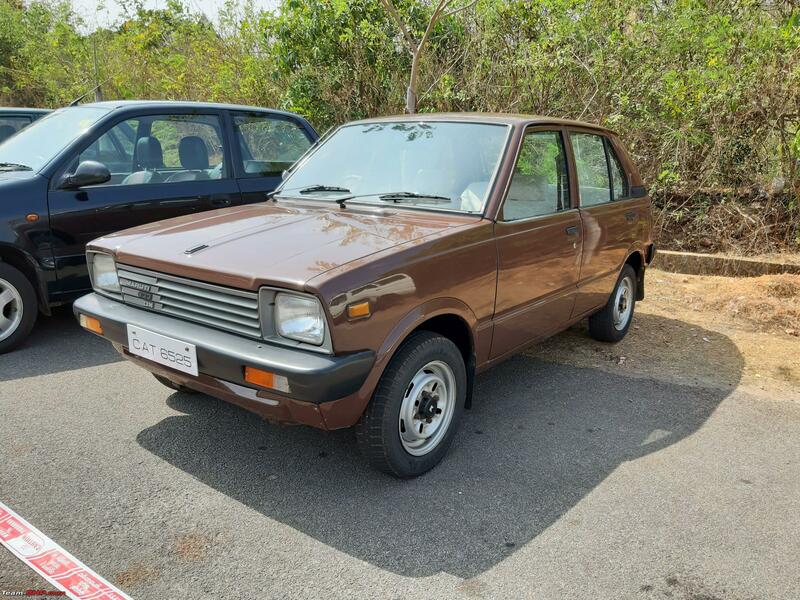 Some Clubs allow cars which are minimum 35 years old, so up to 1983. 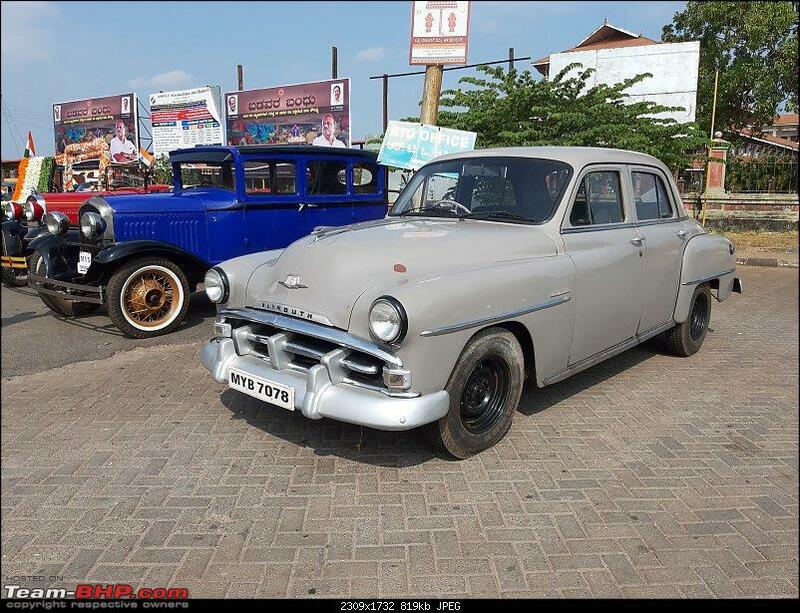 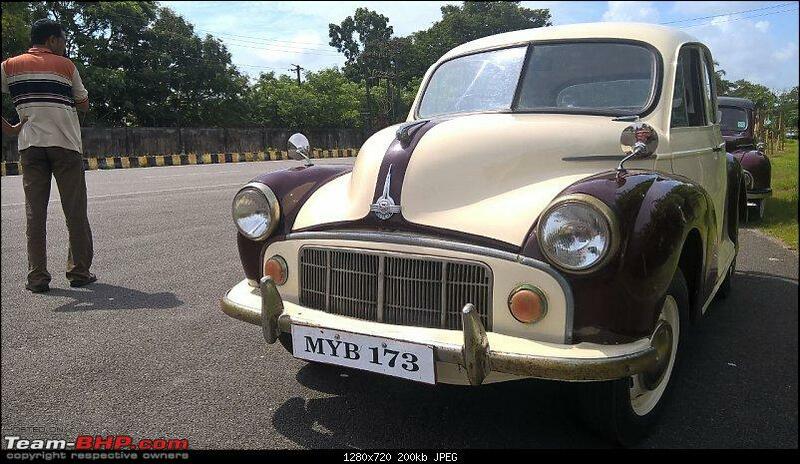 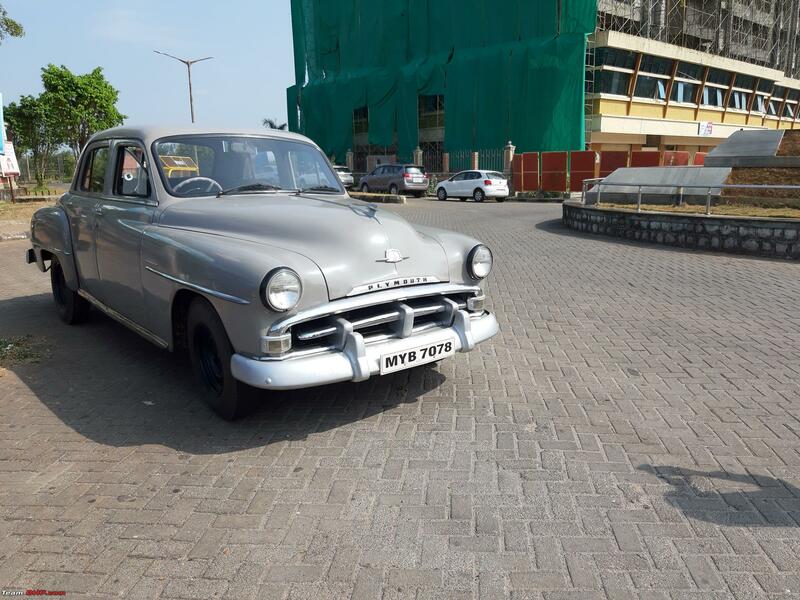 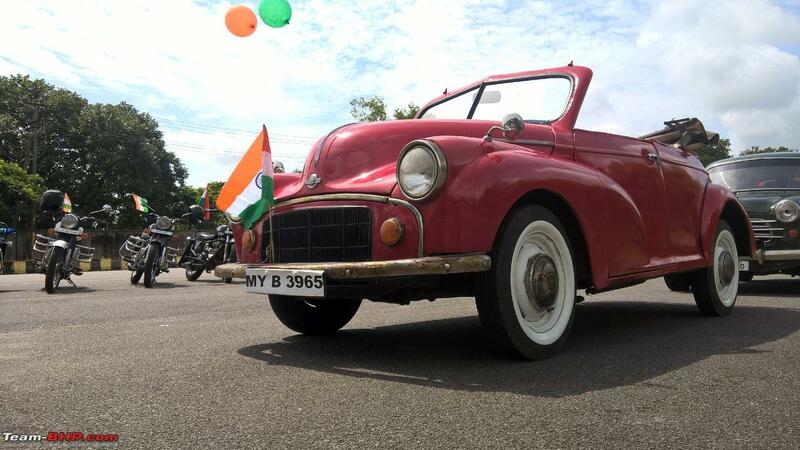 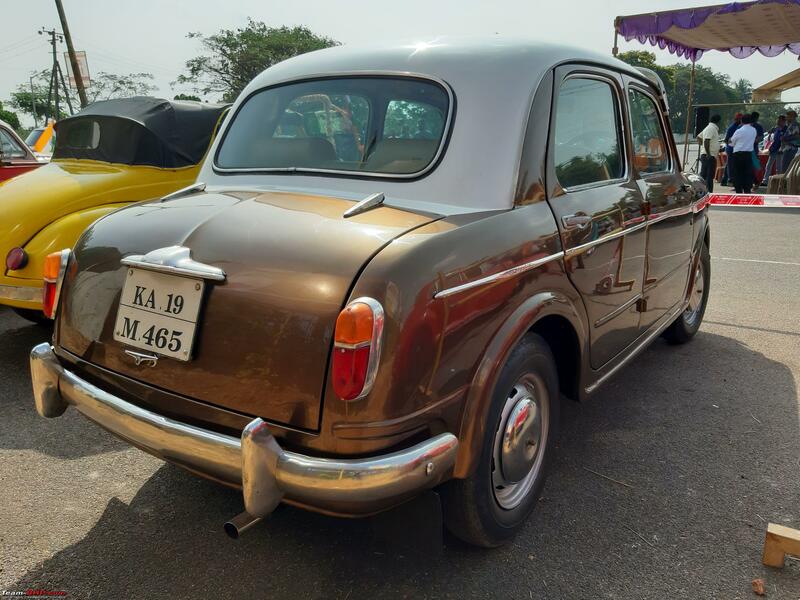 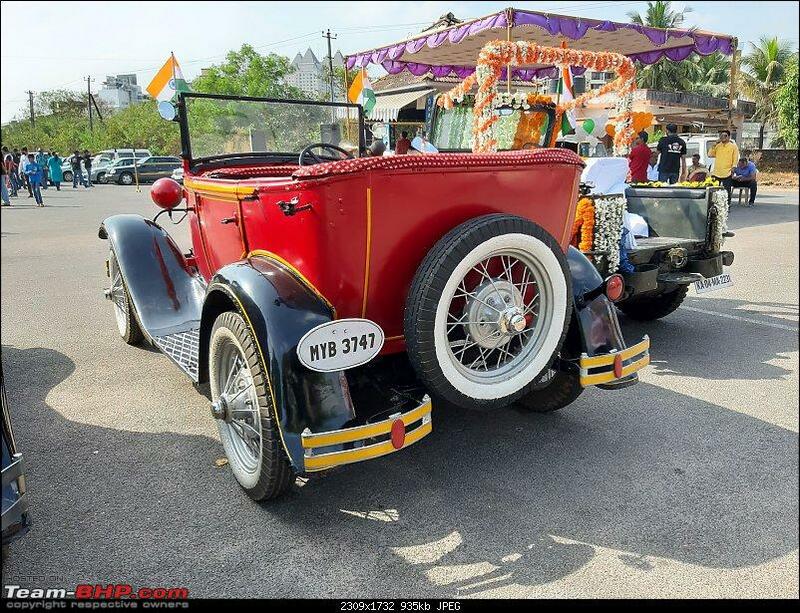 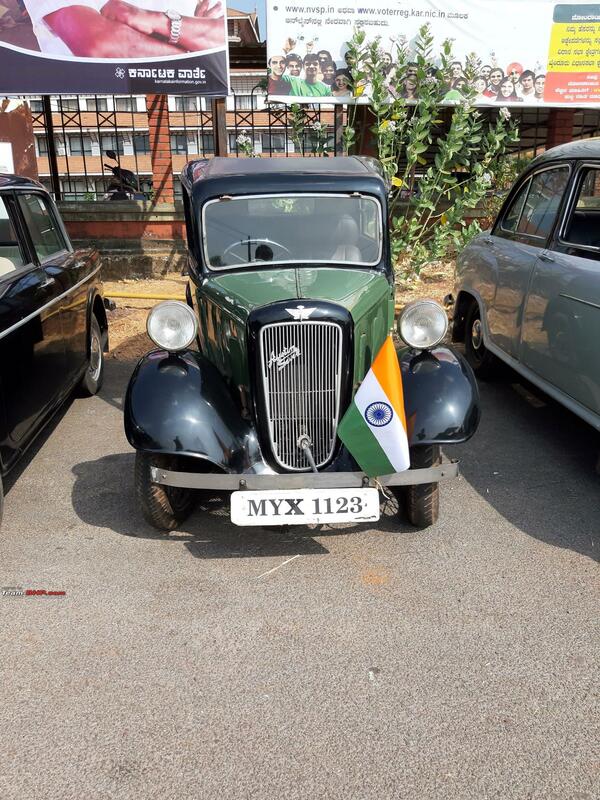 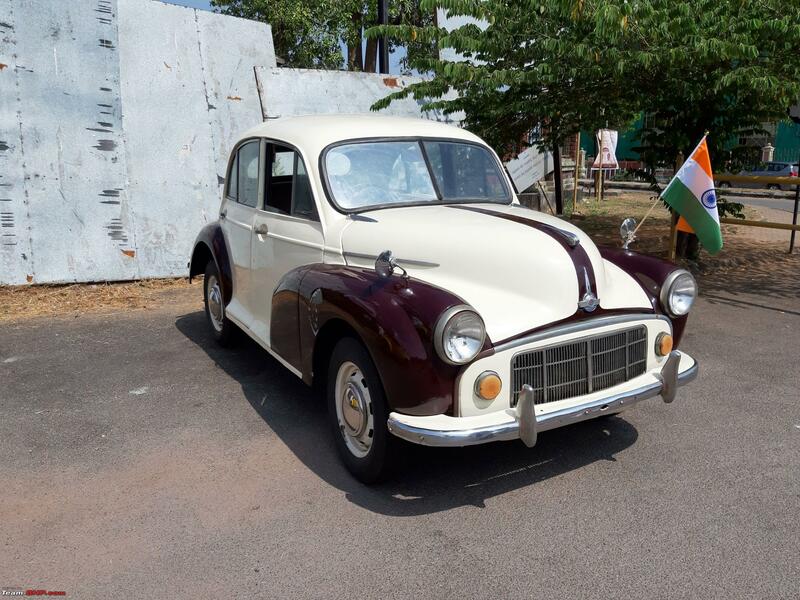 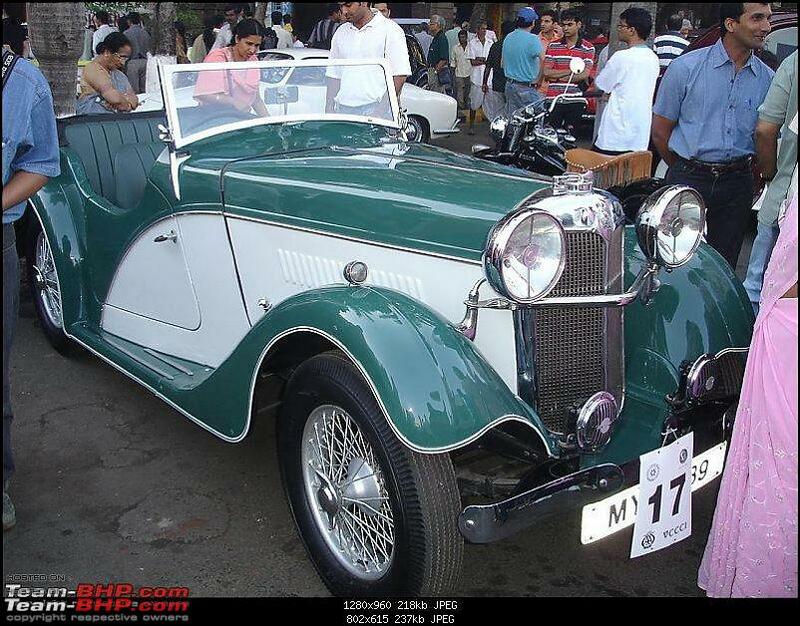 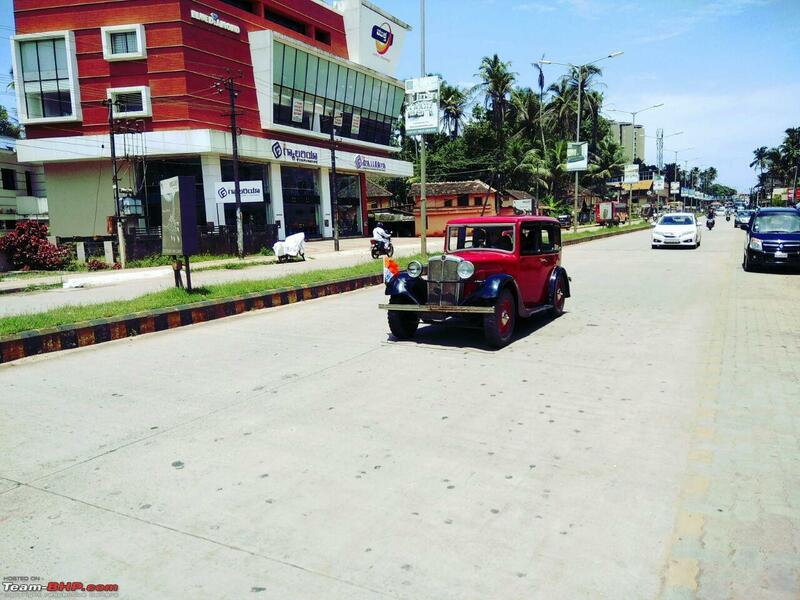 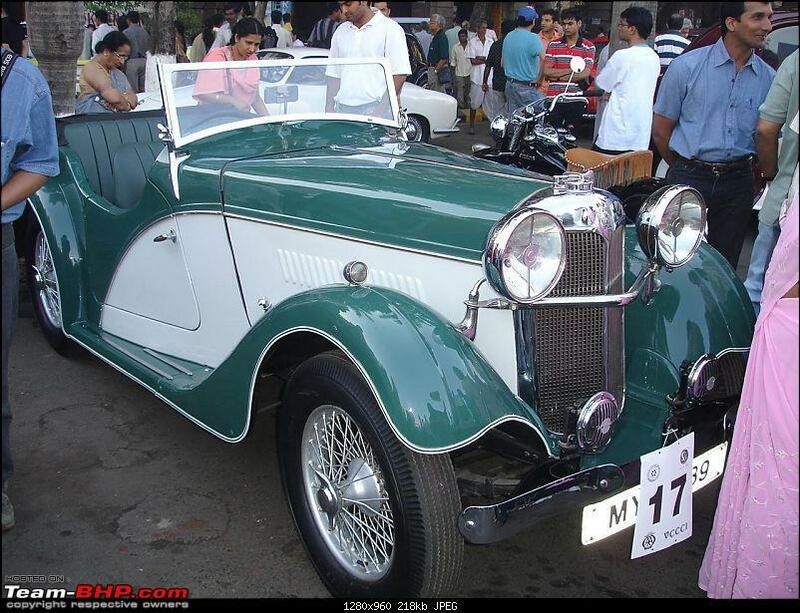 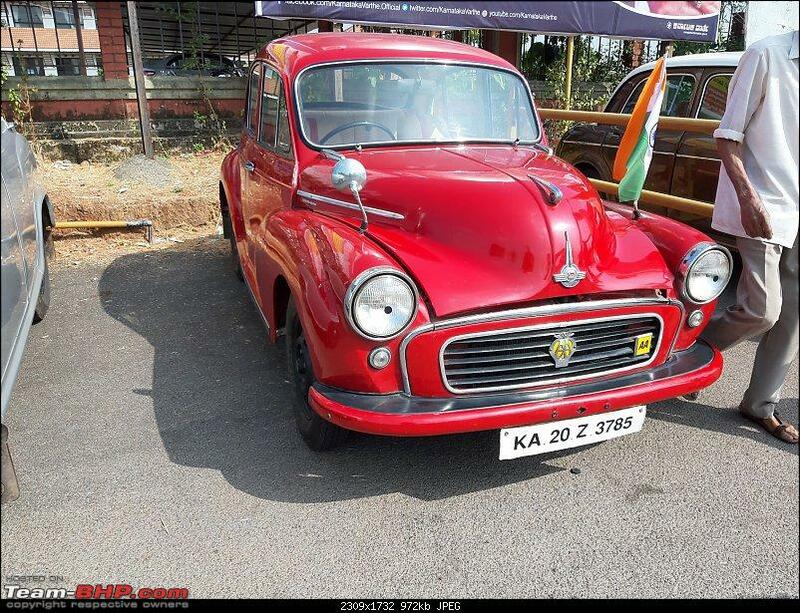 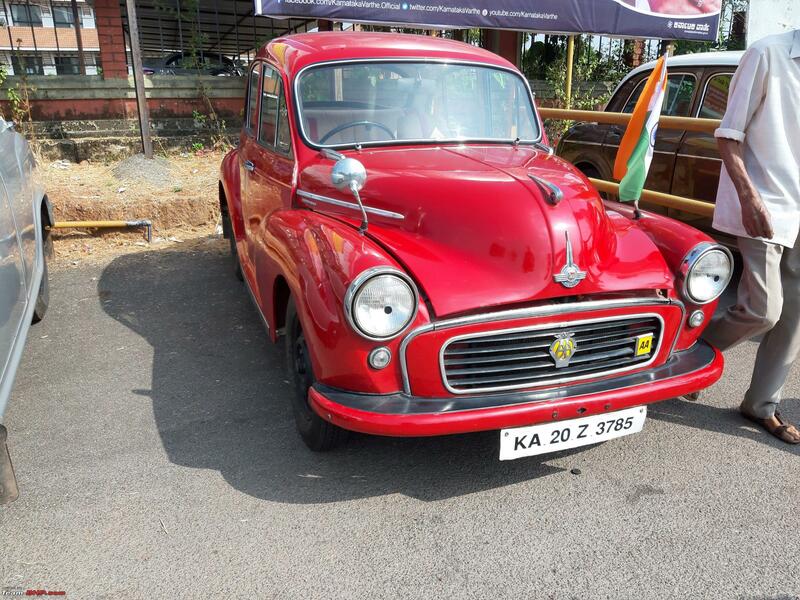 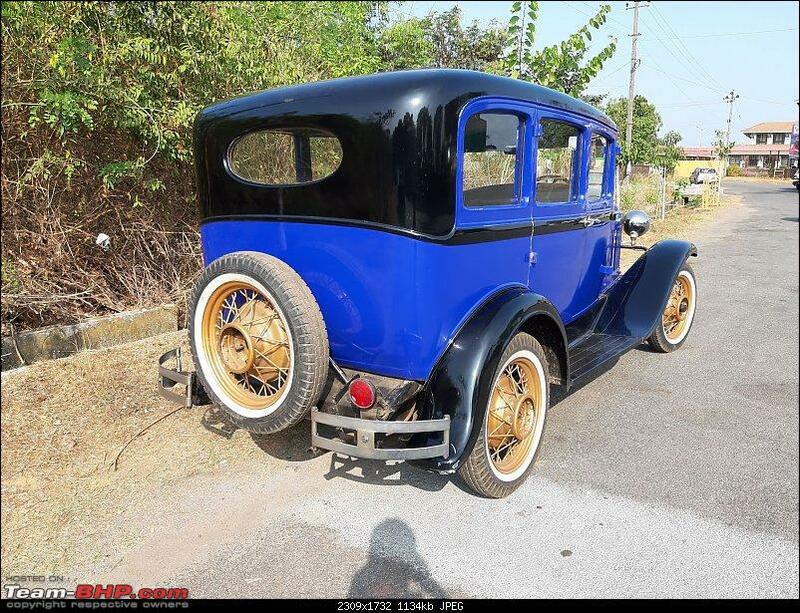 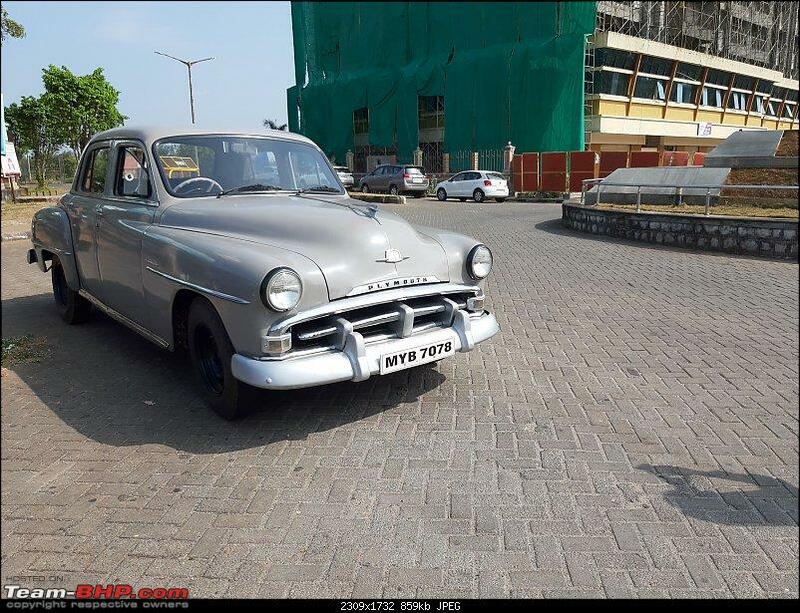 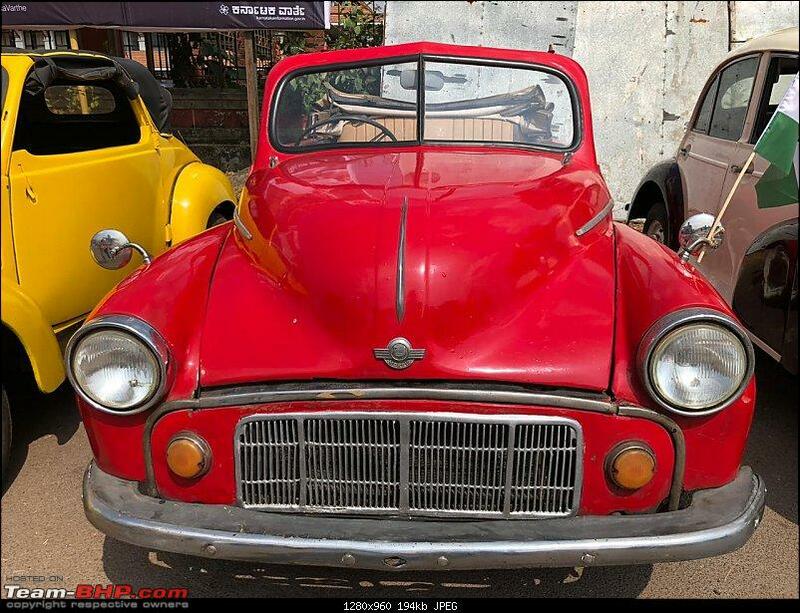 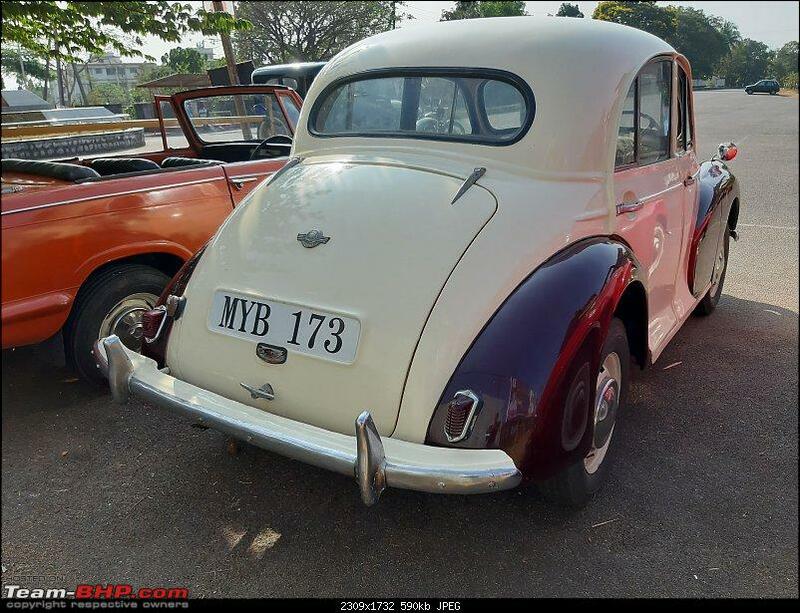 Under the MV Act of India, any car over 50 years can be considered a Vintage Car. 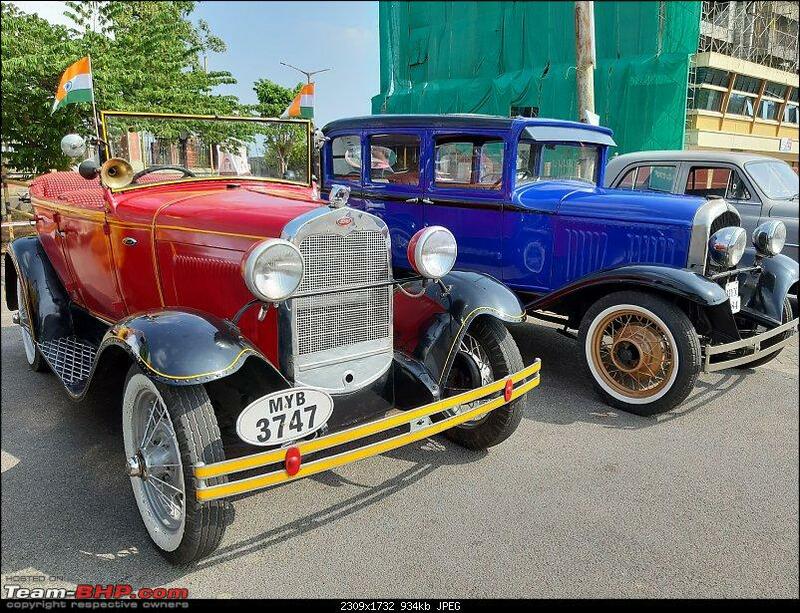 Purist define Veteran, Edwardian, Vintage, Classic and Modern Classic for class differentiation. 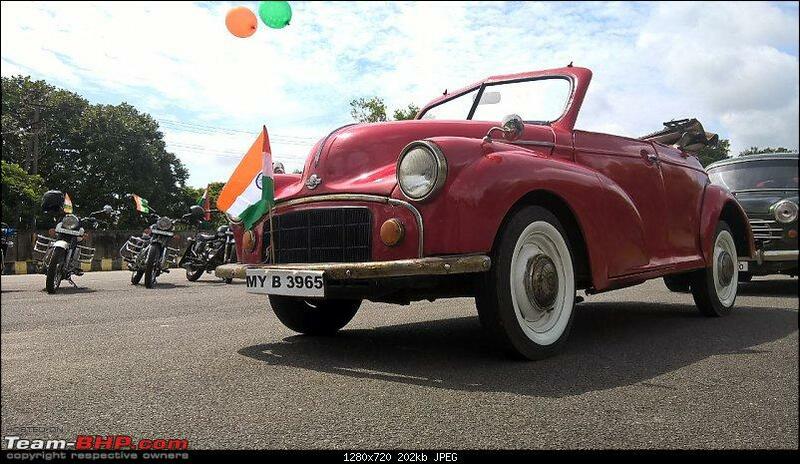 Wish you all the best and many motoring miles. 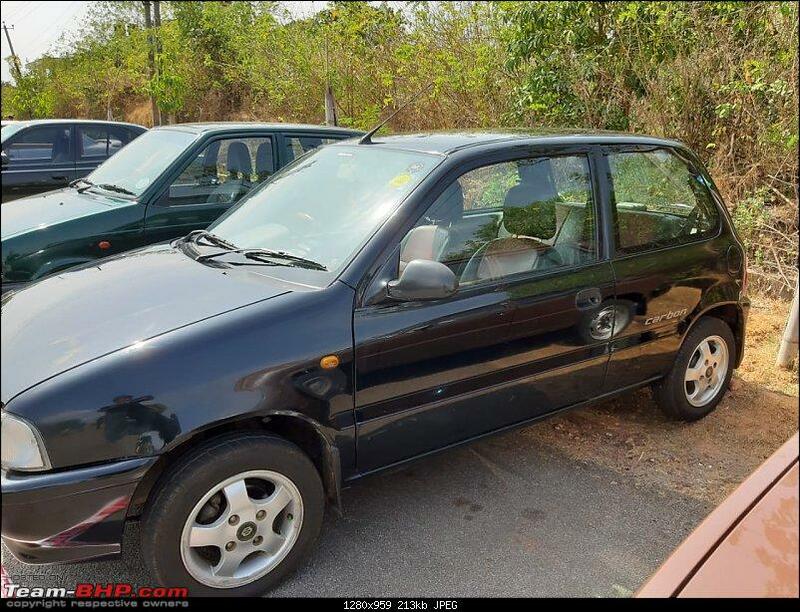 Thanks for the advice KPS. Ours is just a fledgling step in this direction. We have a lot to learn and we will definitely need a lot more advice from you. 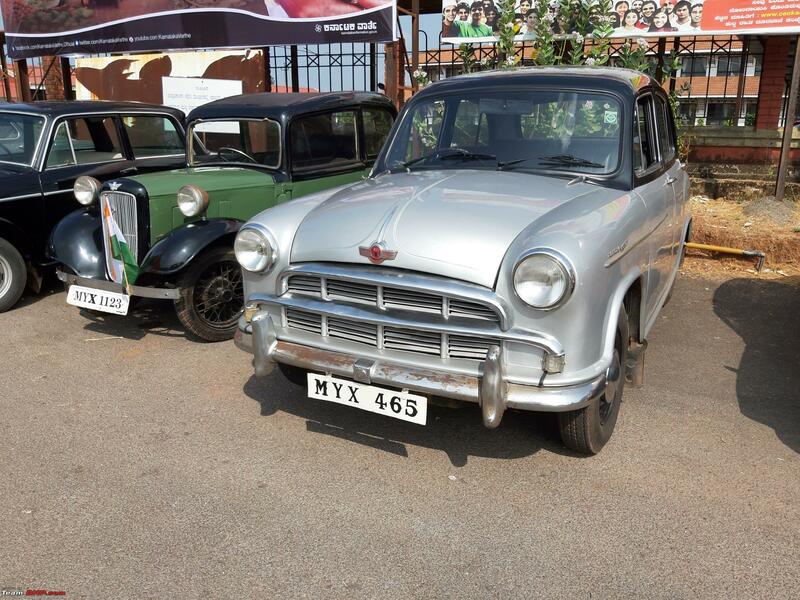 This year we are collecting information on the cars' history from the owners and hope to have a proper database soon. 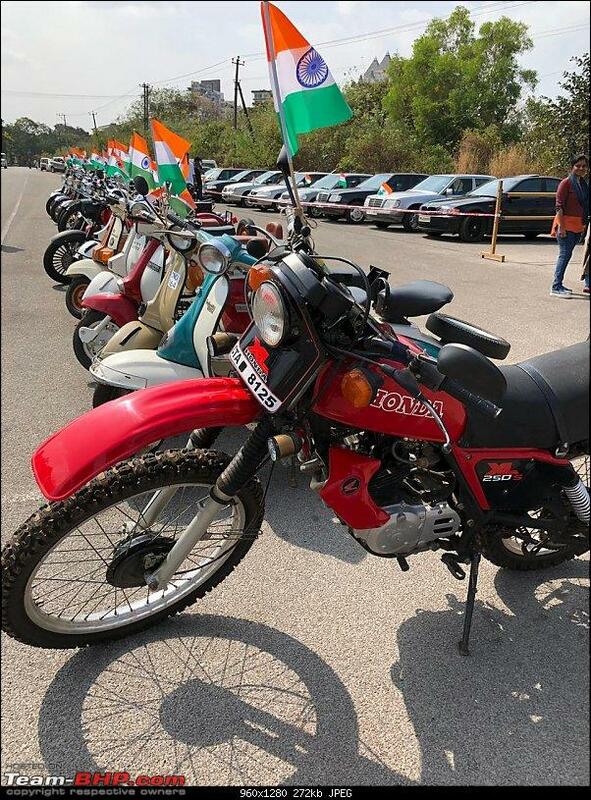 Then we can segregate the display as per your suggestion. 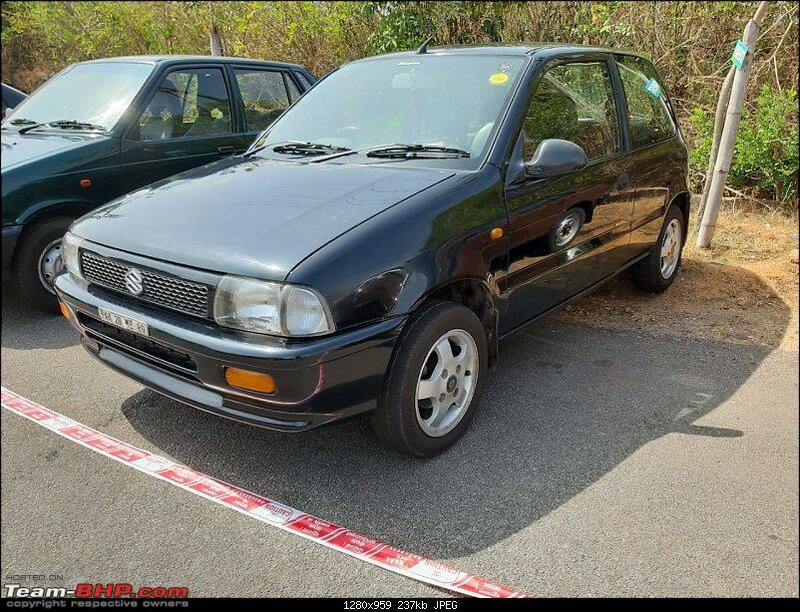 Last edited by samaspire : 28th January 2019 at 13:57. 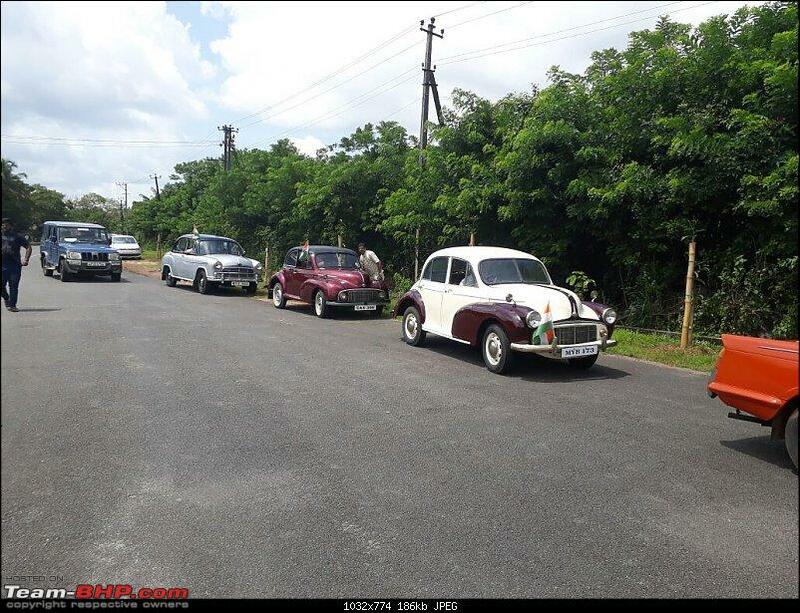 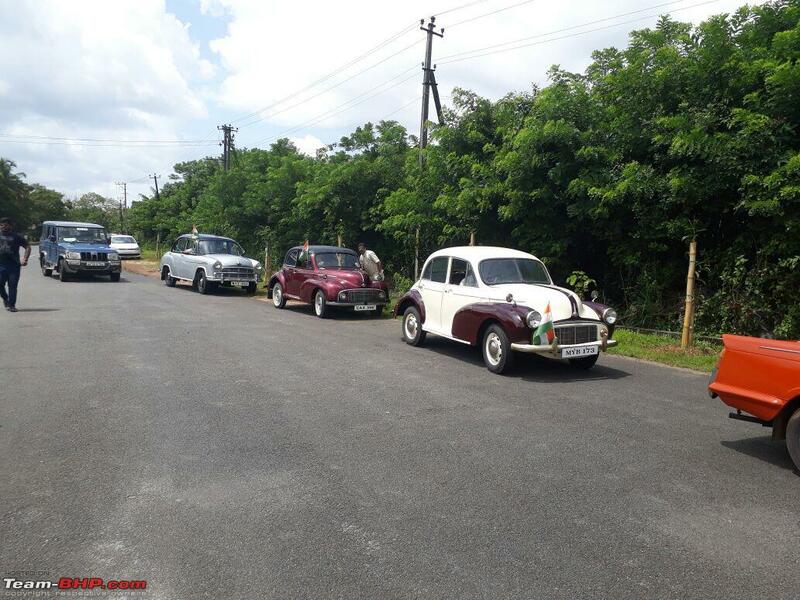 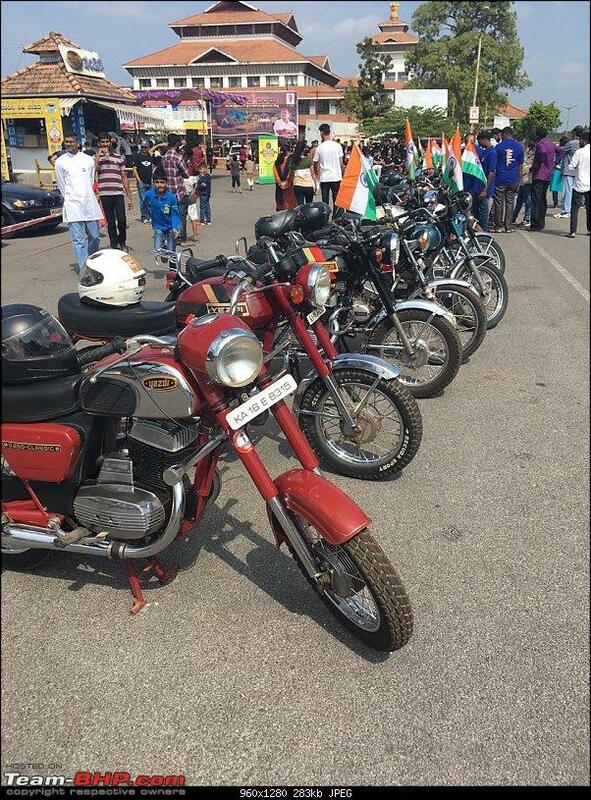 A vintage and classic vehicles rally by Manipal Auto Club was interesting for the composition of vehicles. 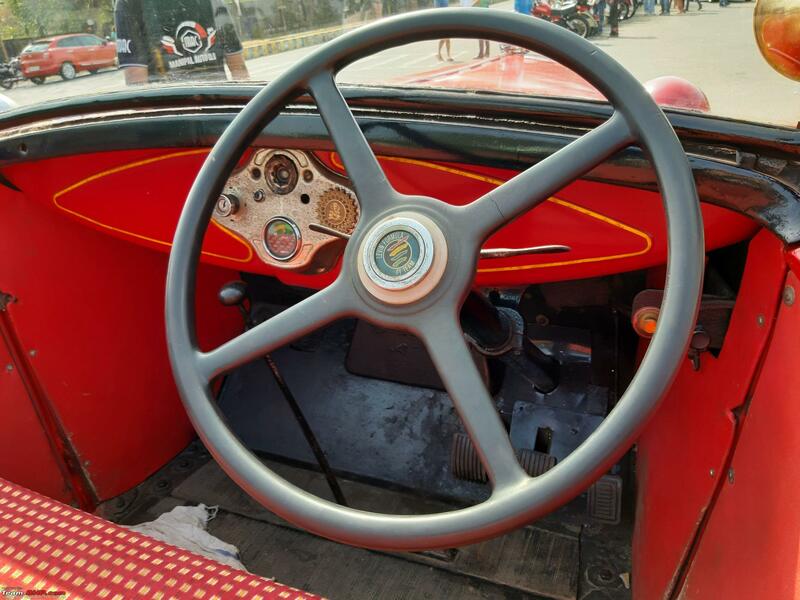 Just two years old, MAC is a Millennial among automotive groups of its kind, and in my opinion, its approach to the hobby may very well bring a good number of Gen Zs into it. 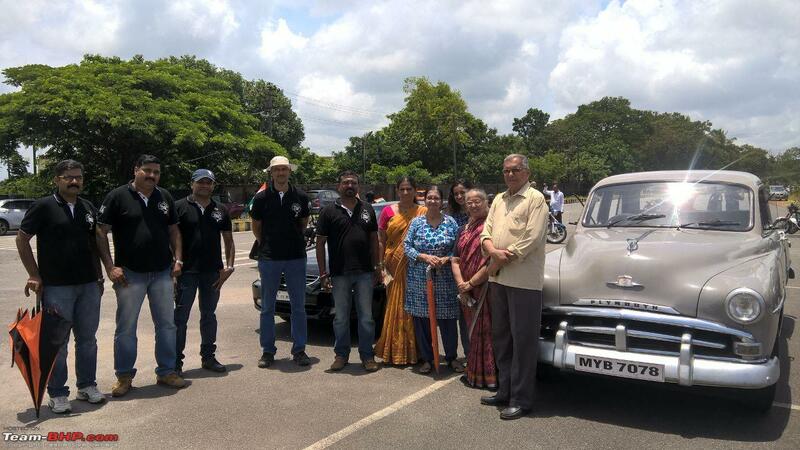 On the automotive forum team-bhp.com, there was a pre-event thread about the 2019 edition of MAC’s vintage and classic vehicles rally. 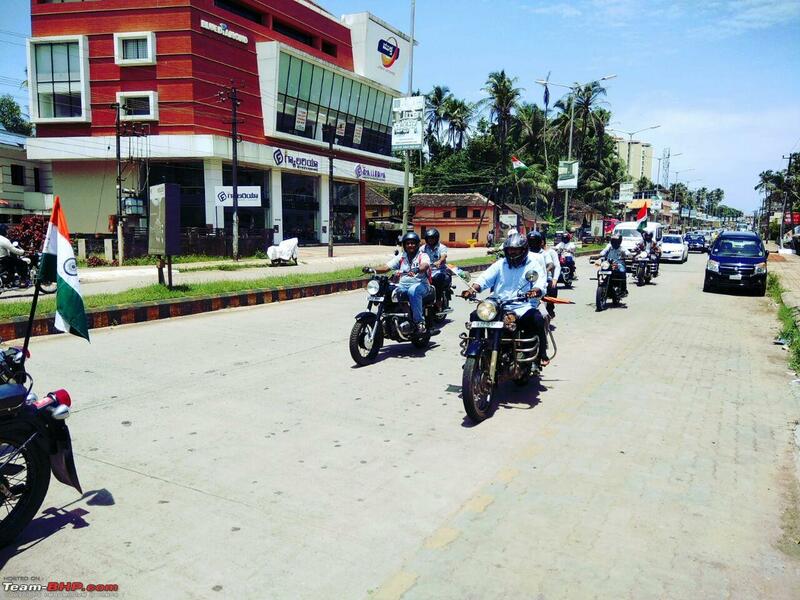 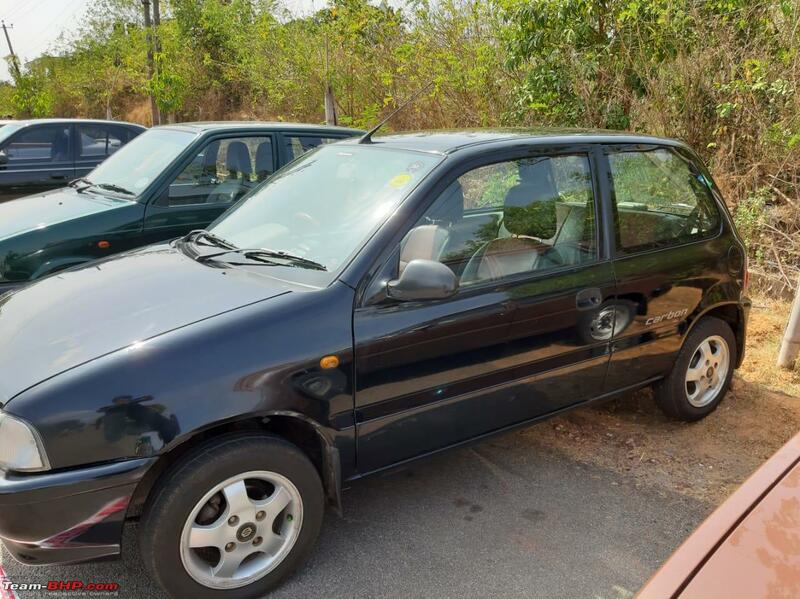 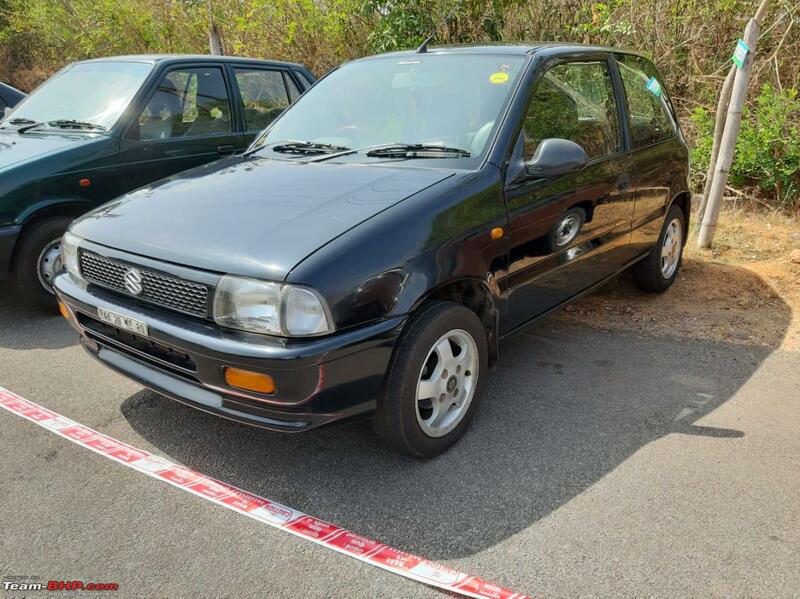 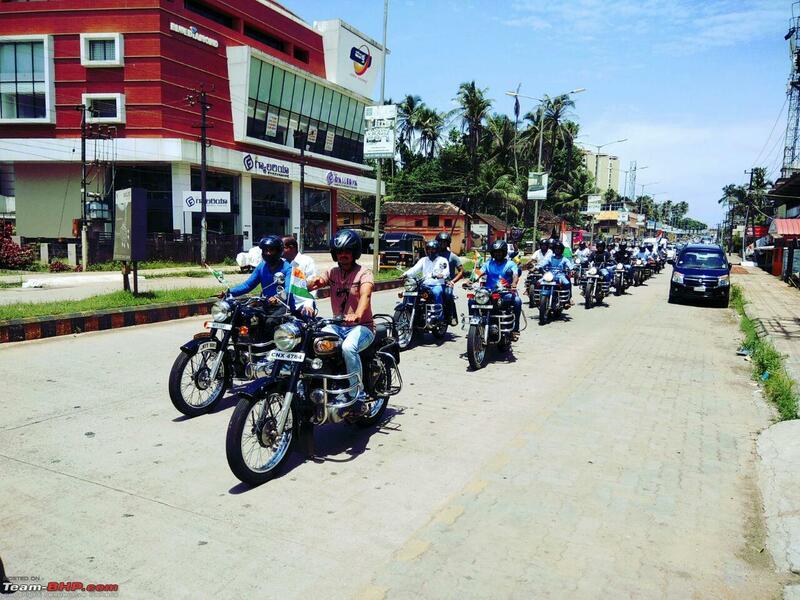 Started by a MAC member and teambhpian, it put out a list of probables, which included a Maruti Zen Carbon and a few other machines from a time frame that is just two streets removed from the present. 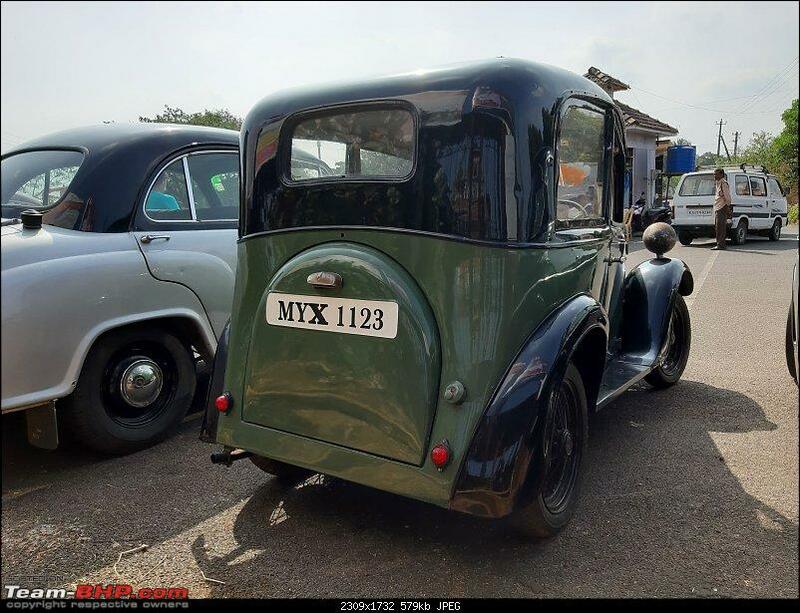 Of course, it had the usual suspects: the Morris, the Austin and the Plymouth, to name a few. But to include vehicles closer to our times, but out-of-production and rare, will do a boot-space of good for the hobby. 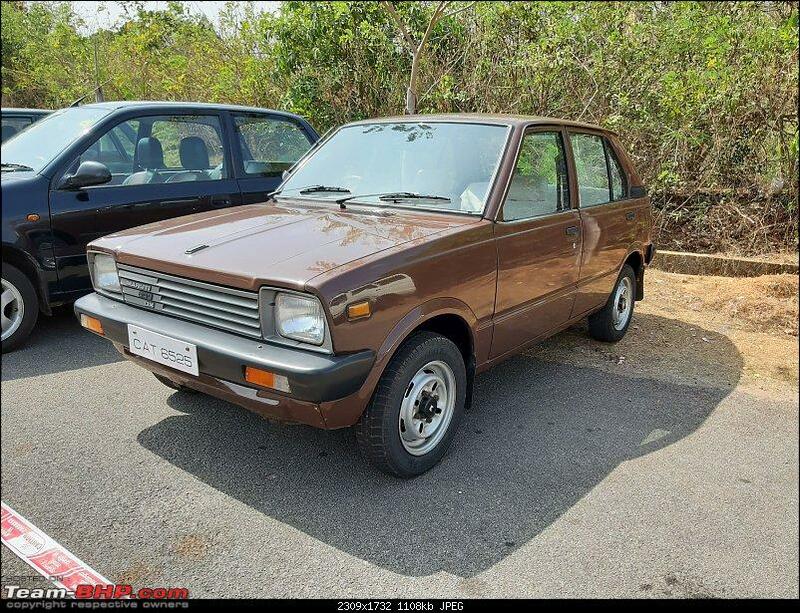 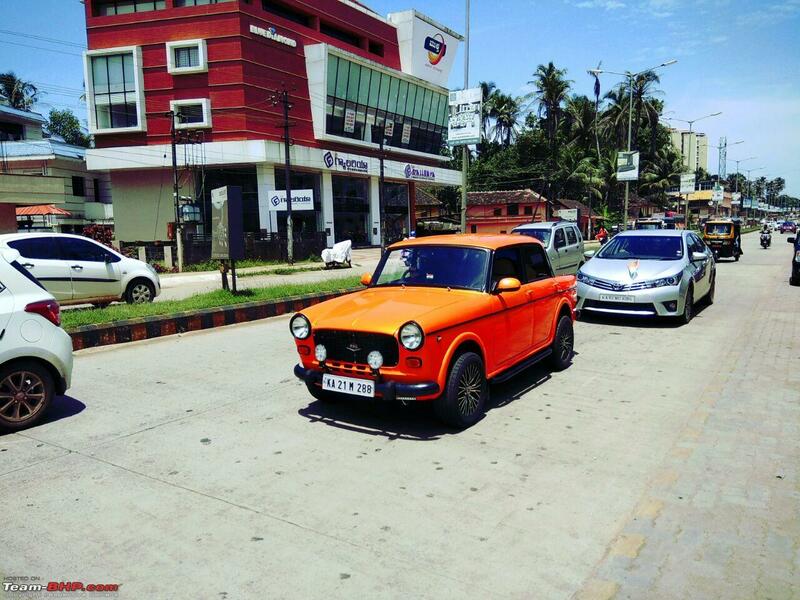 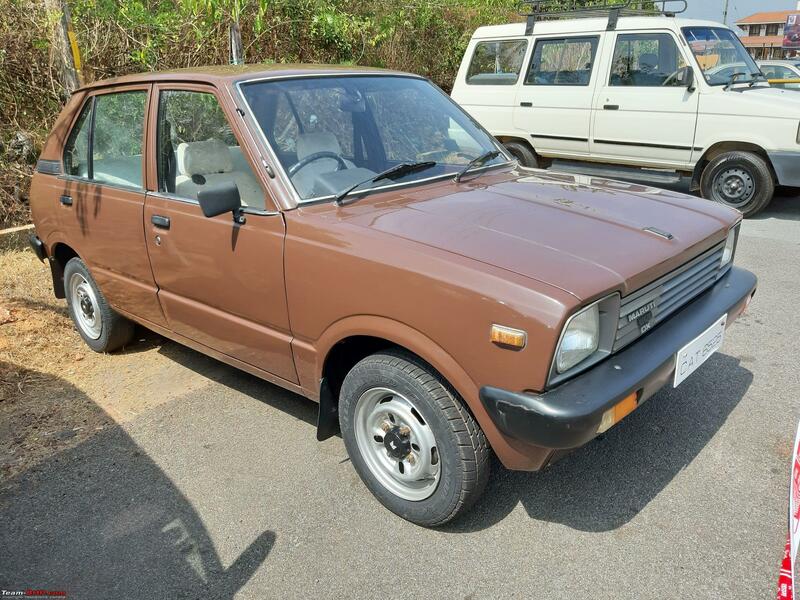 Zen Carbon was a limited edition three-door model and Maruti rolled out only a few dozens of them, and the Zen name evokes nostalgia by the gallons for youngsters in their twenties now. 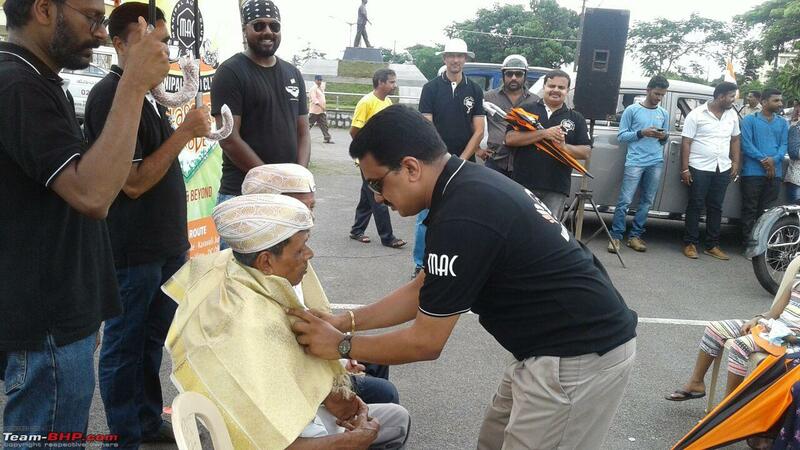 I am delighted to see mechanics being felicitated. 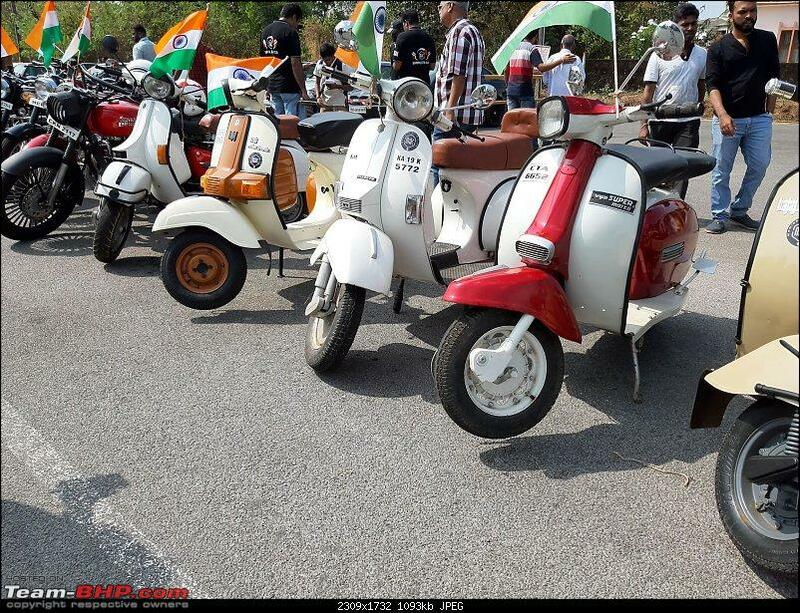 They are a vanishing breed and really need to be appreciated .